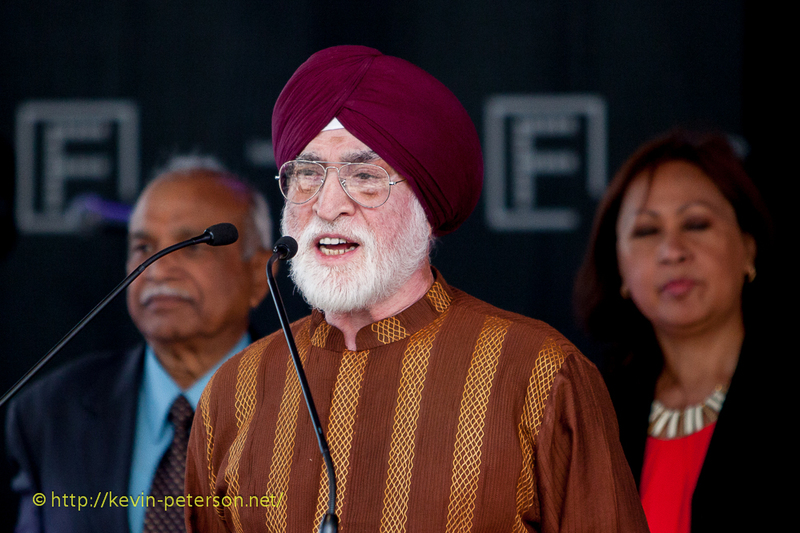 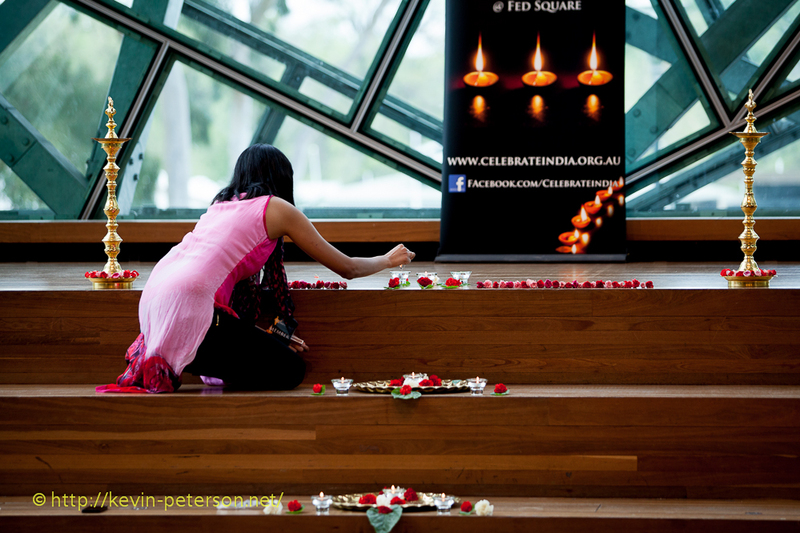 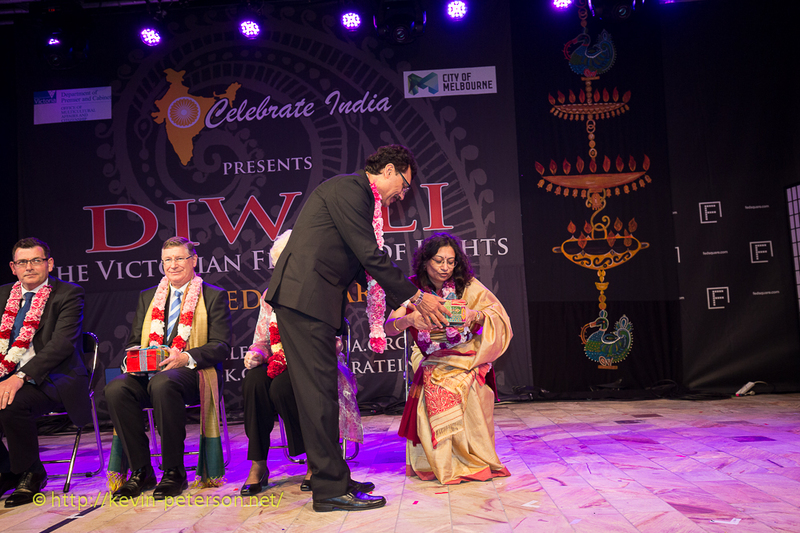 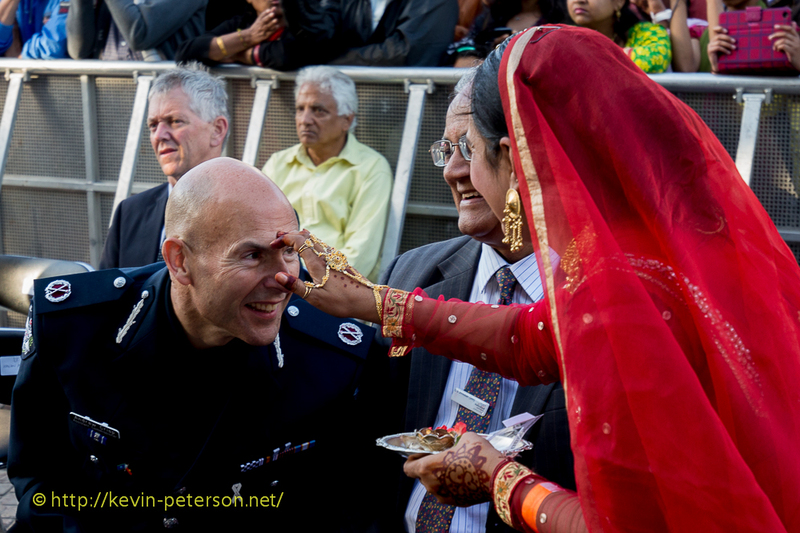 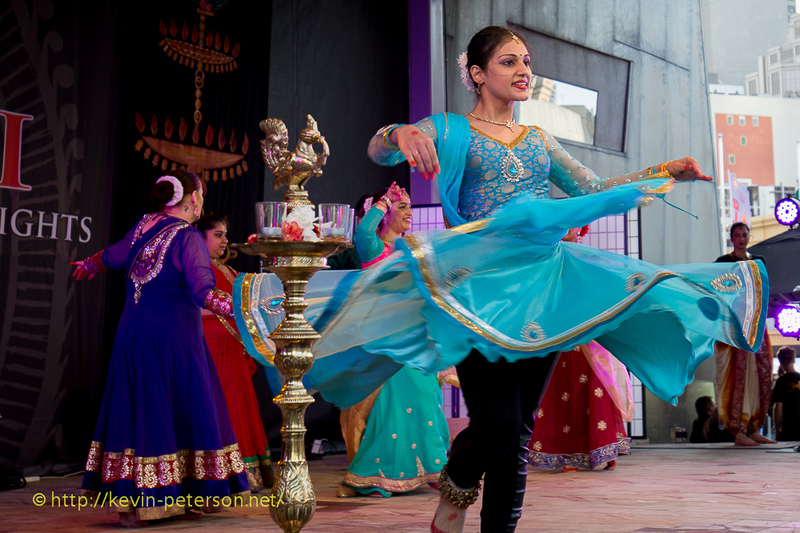 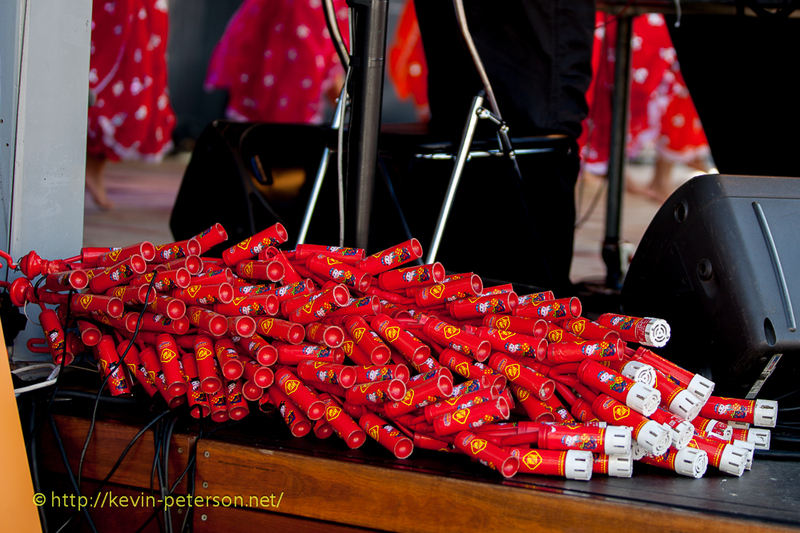 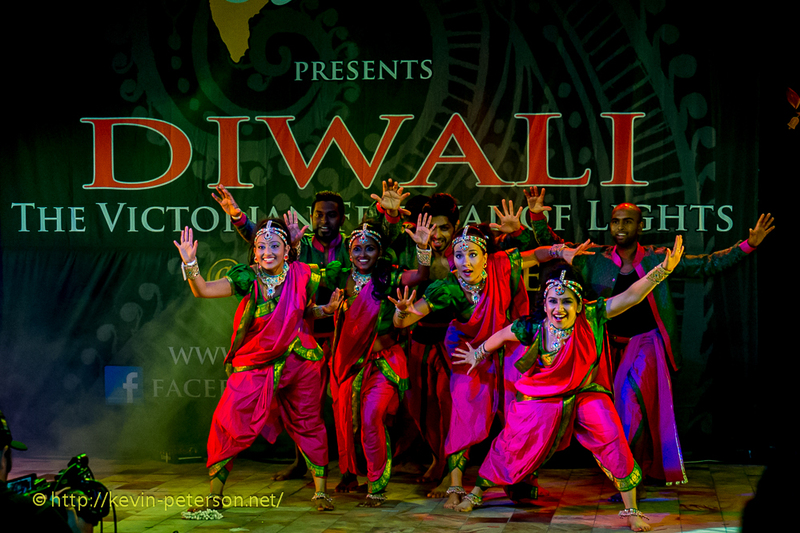 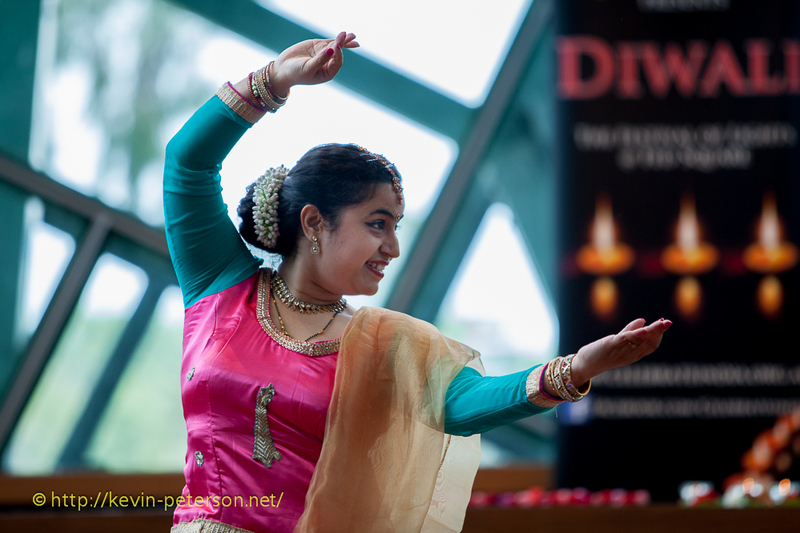 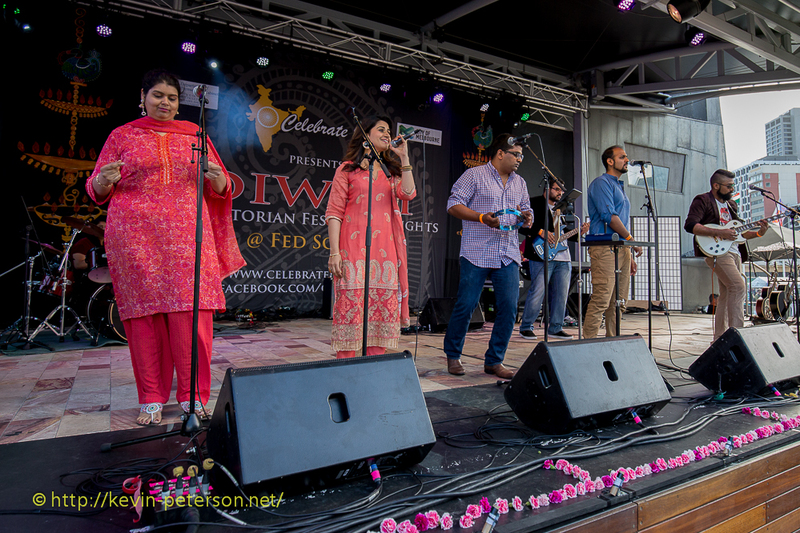 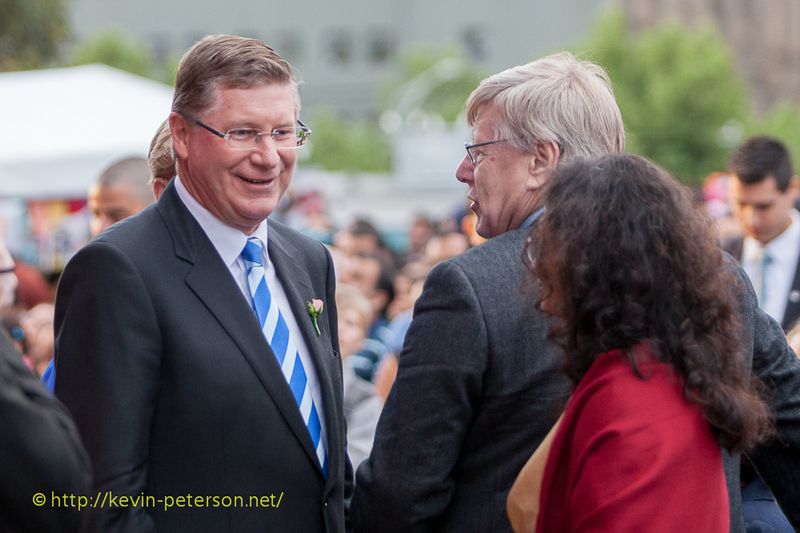 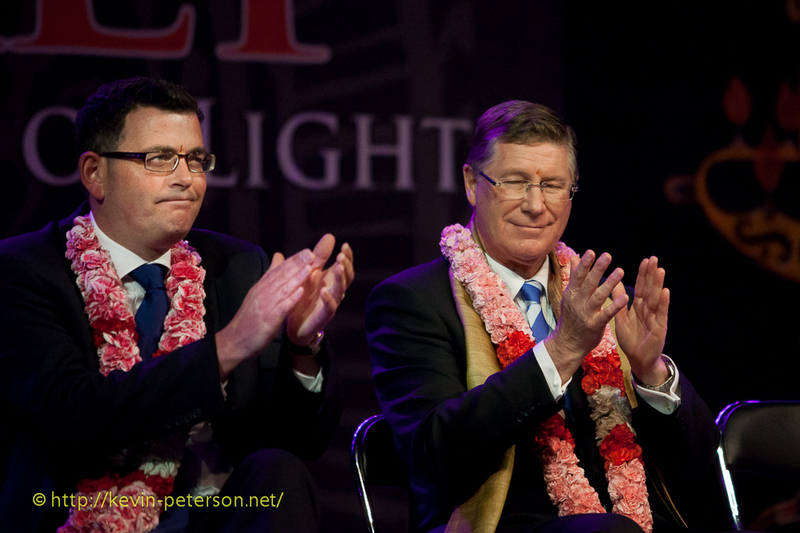 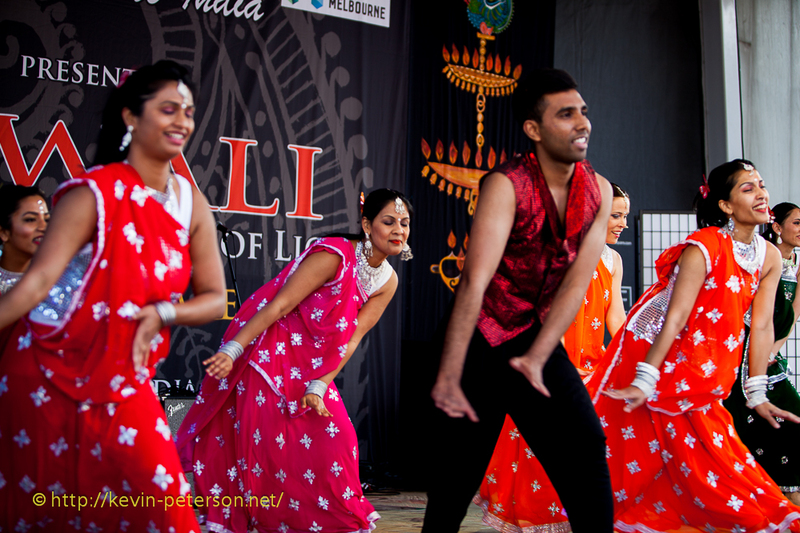 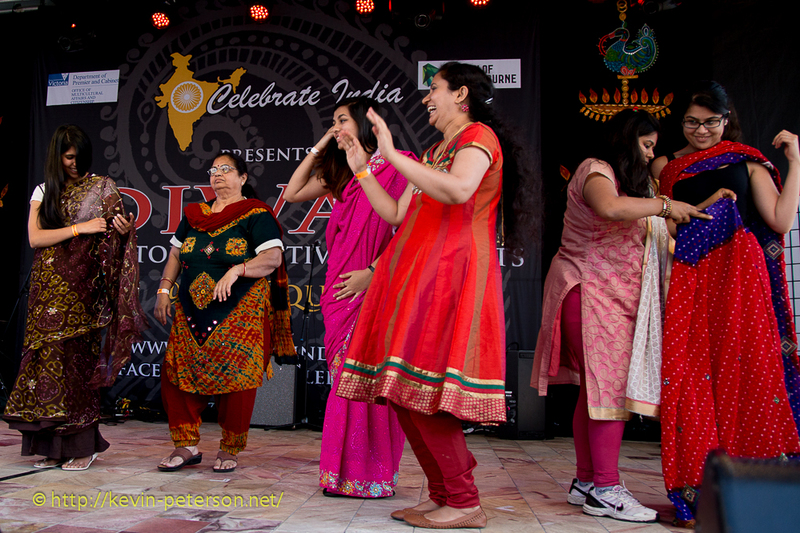 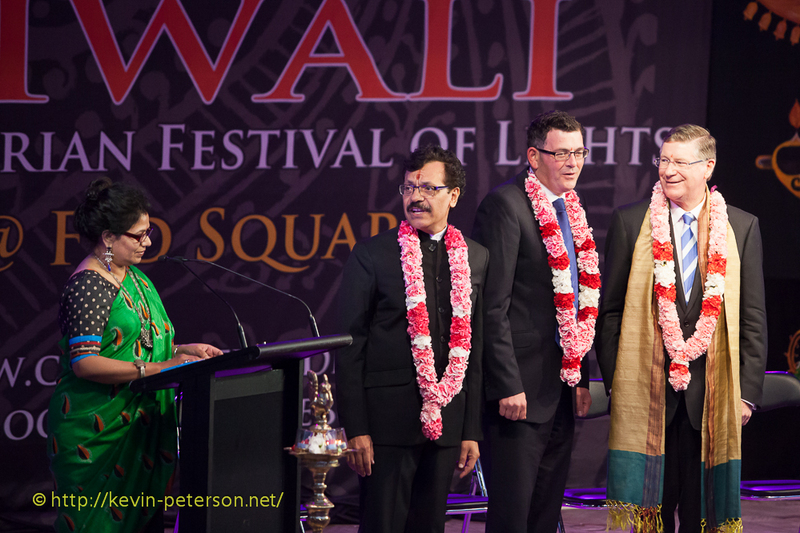 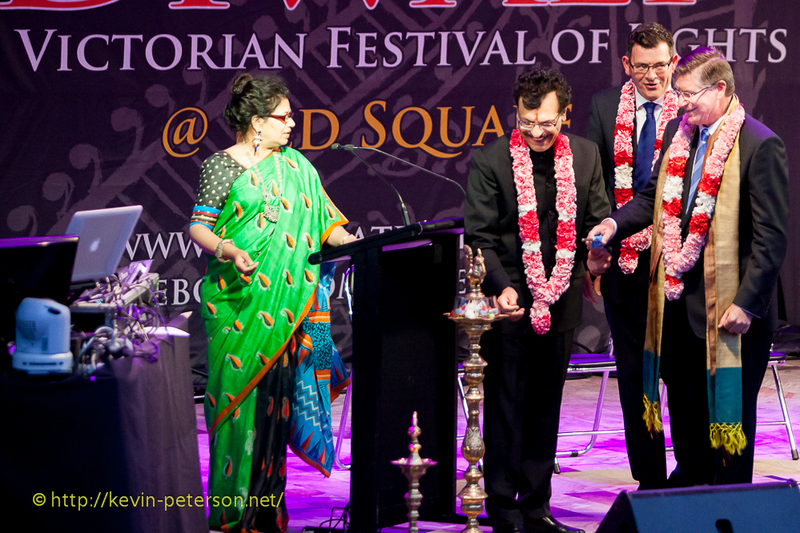 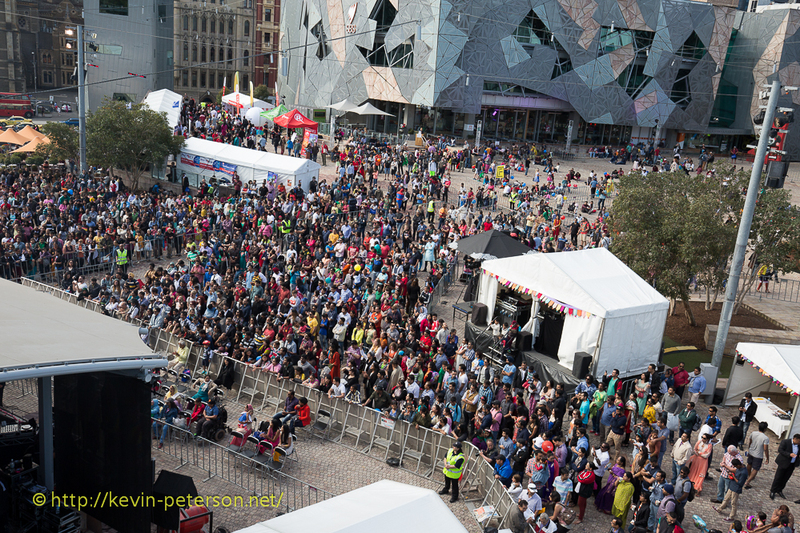 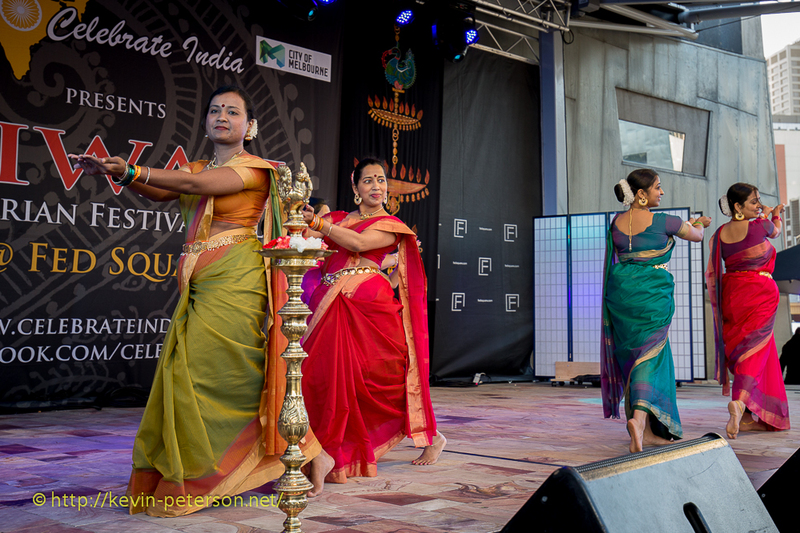 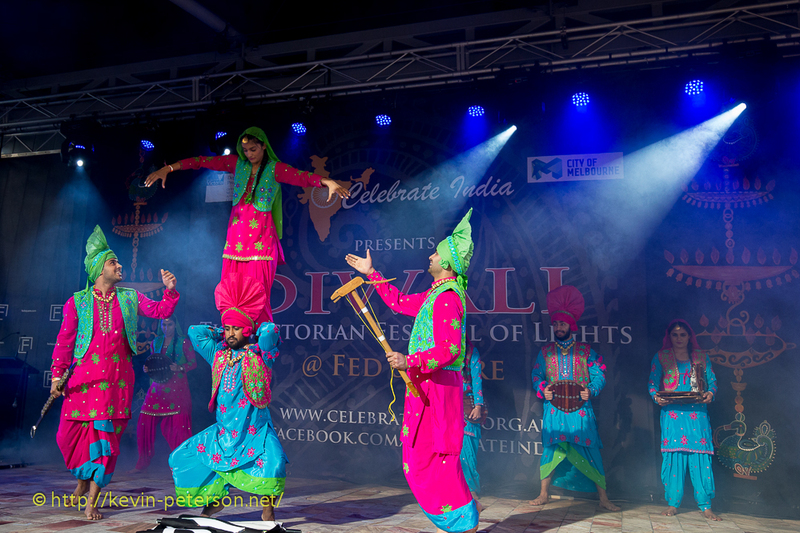 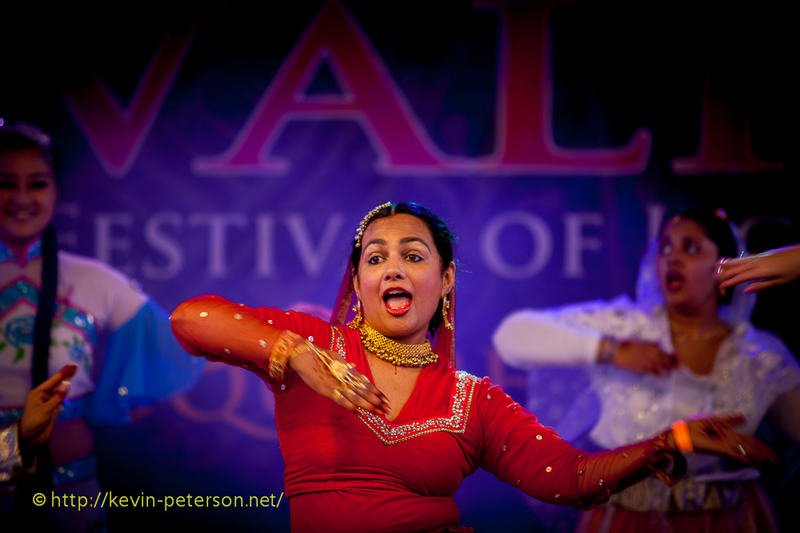 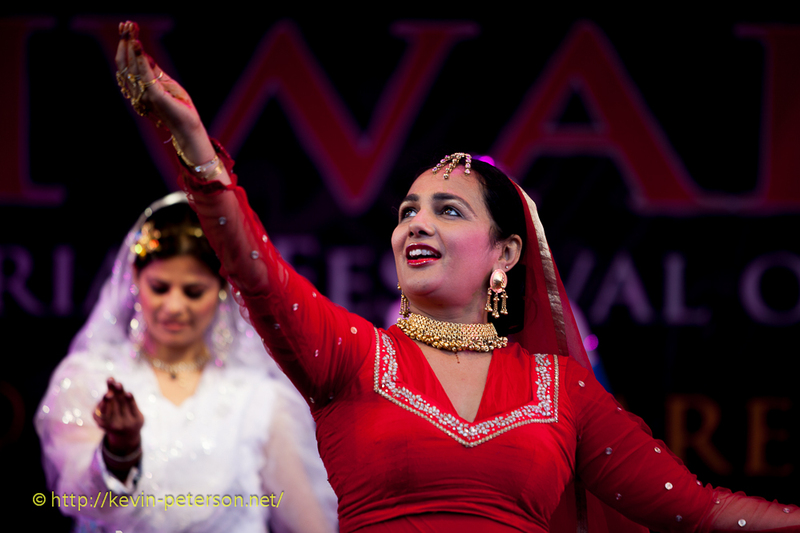 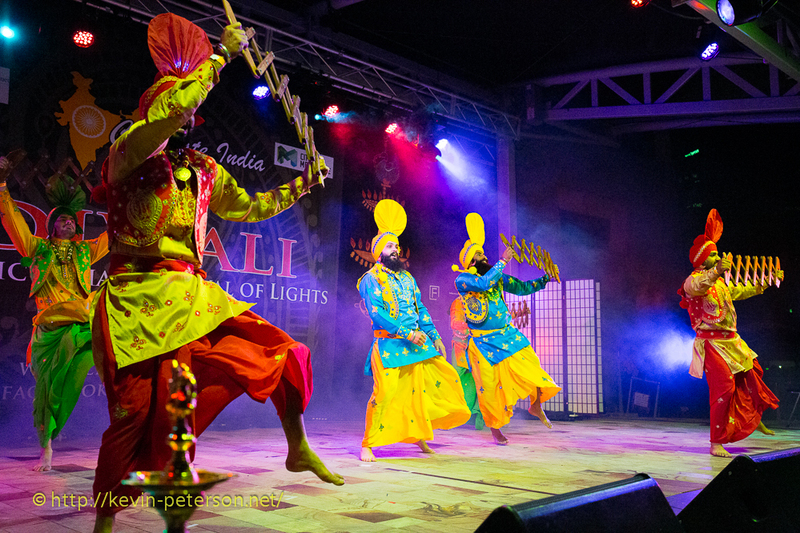 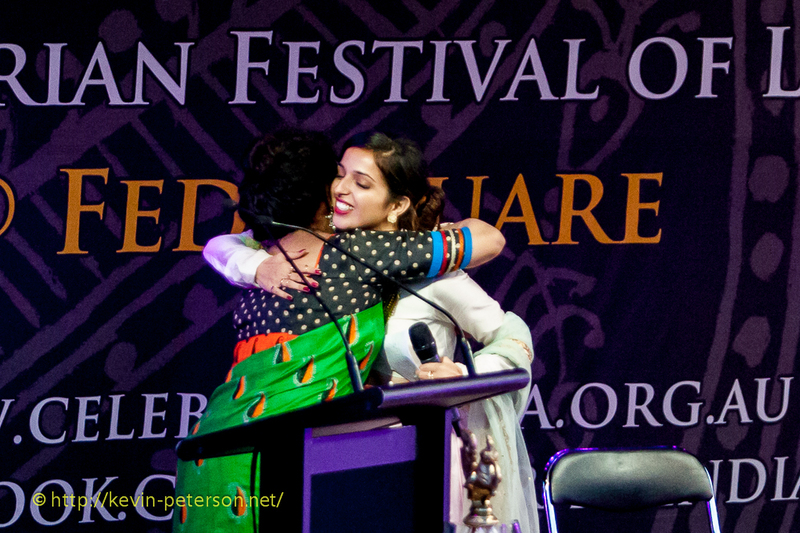 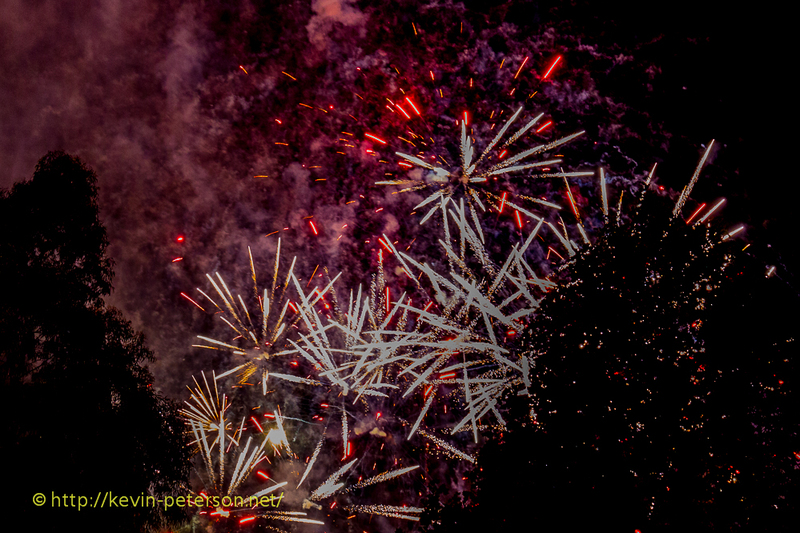 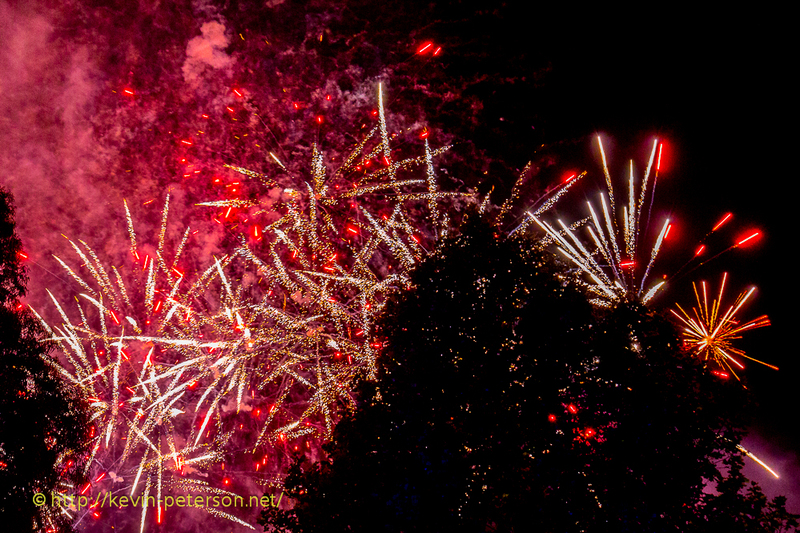 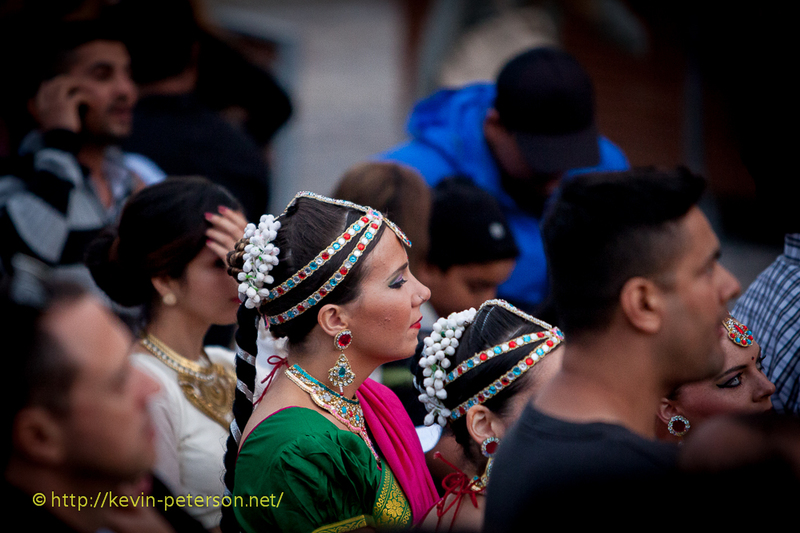 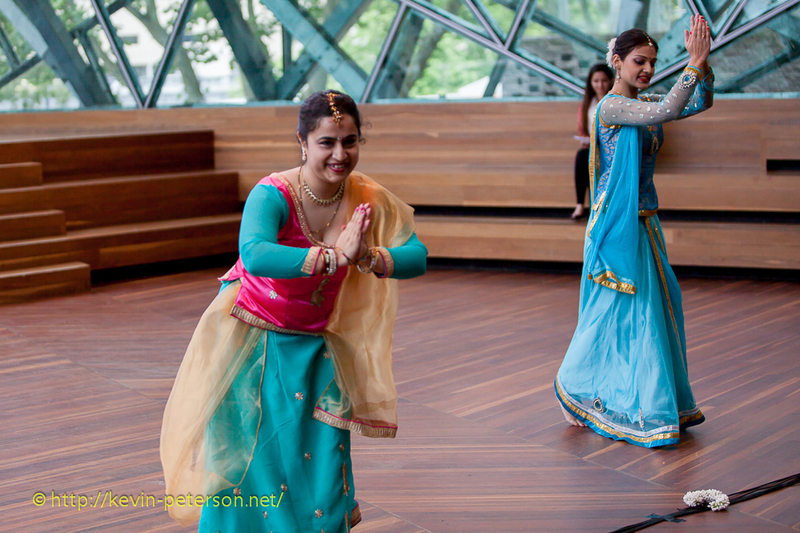 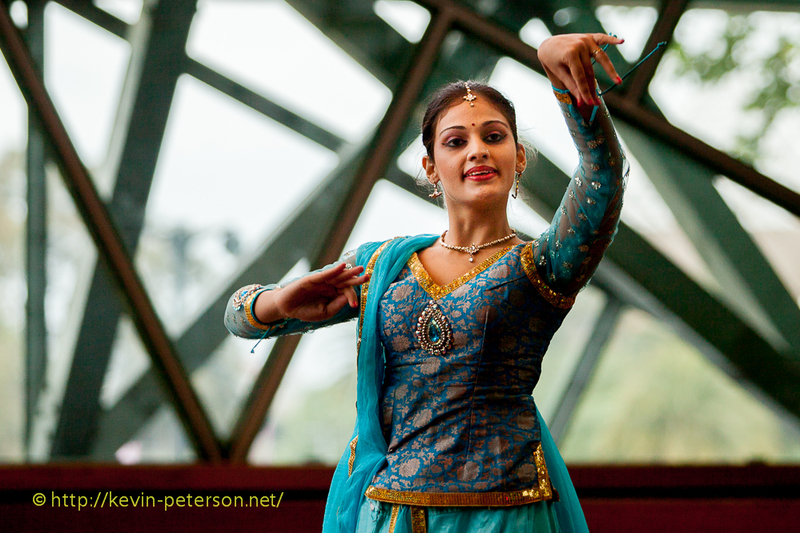 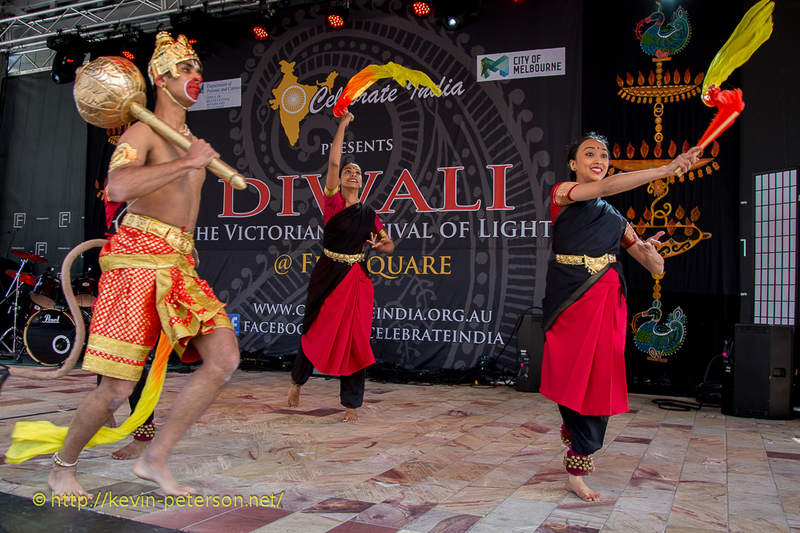 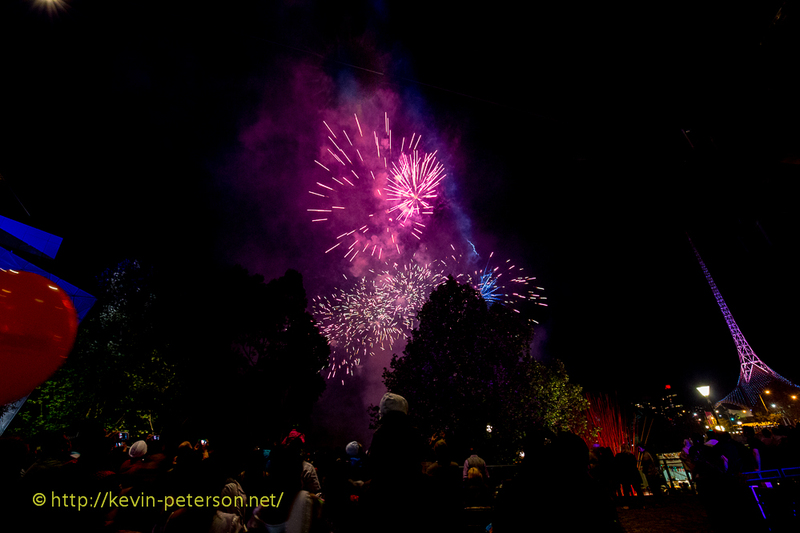 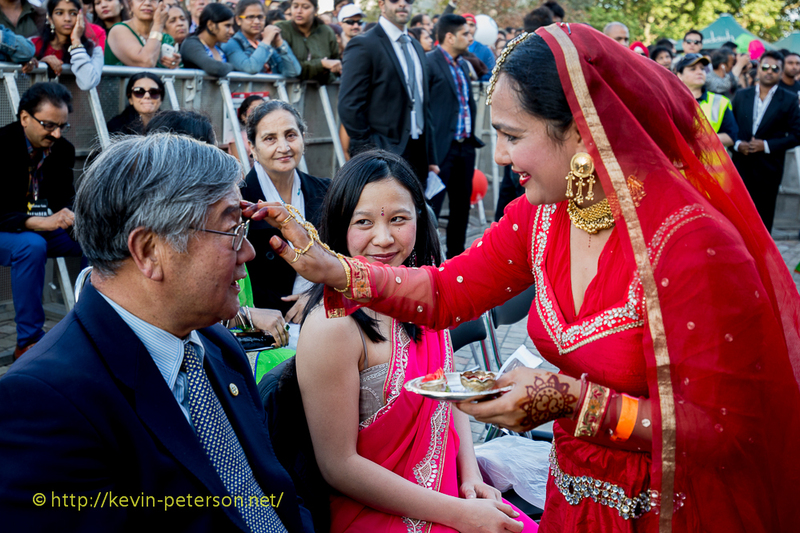 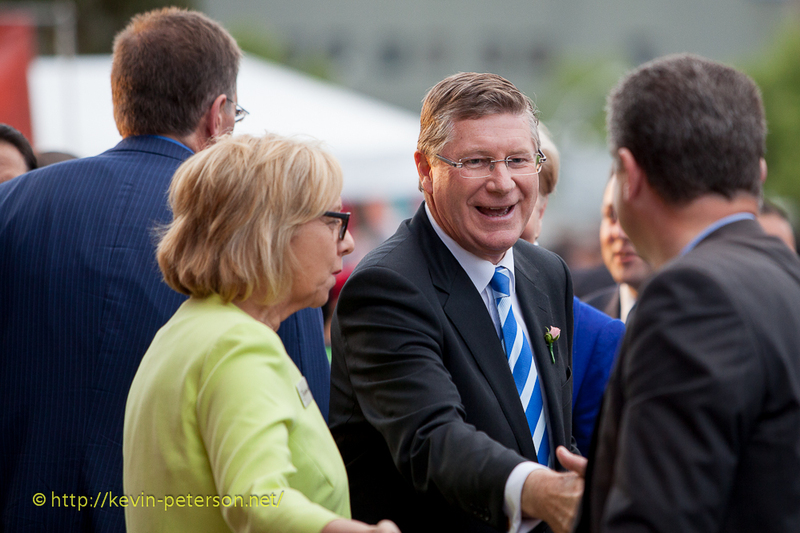 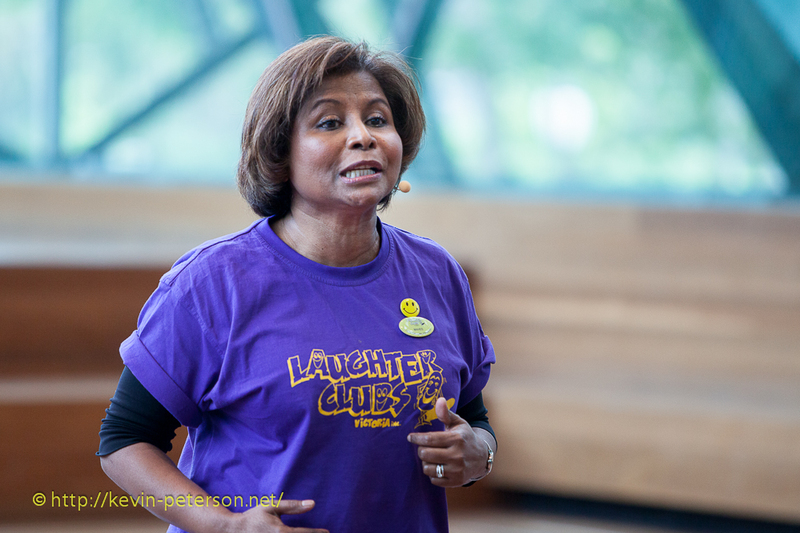 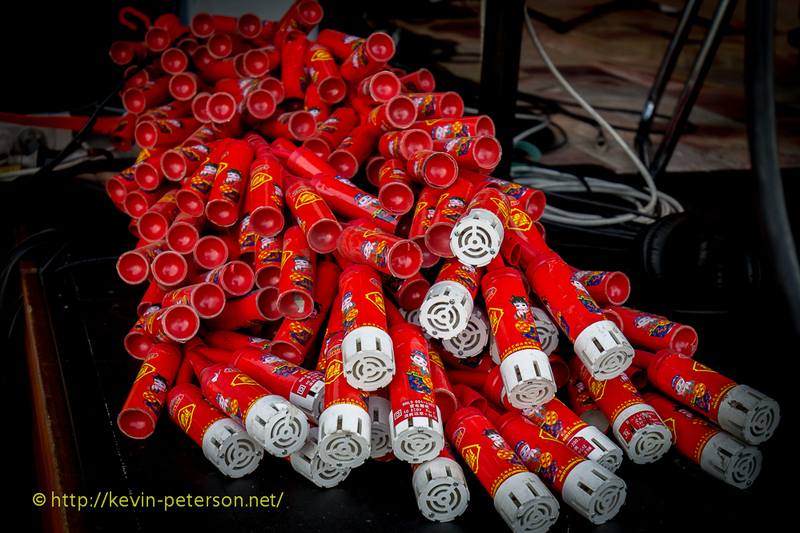 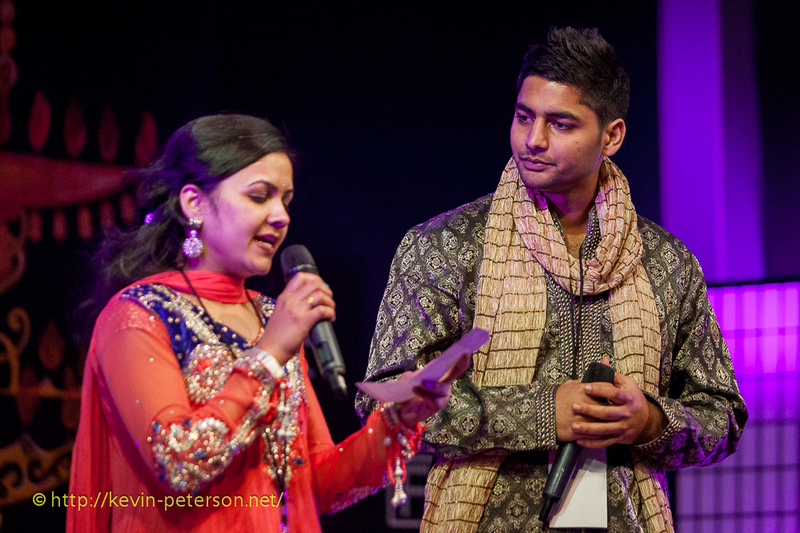 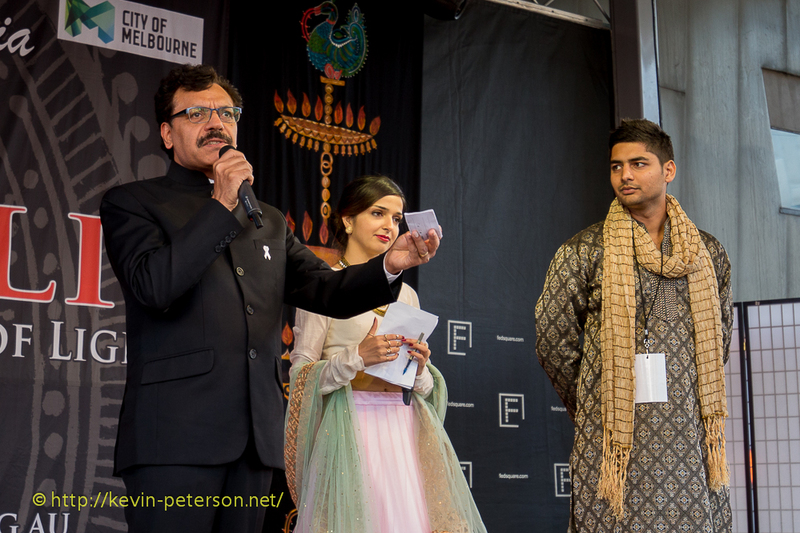 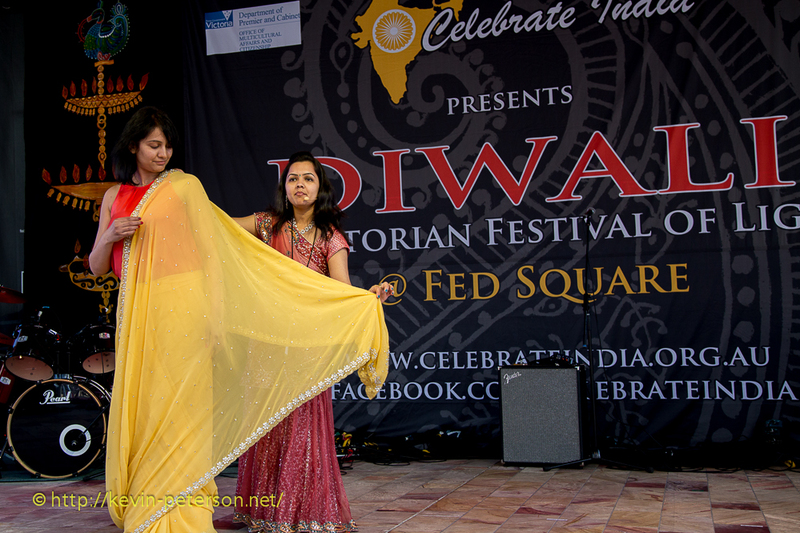 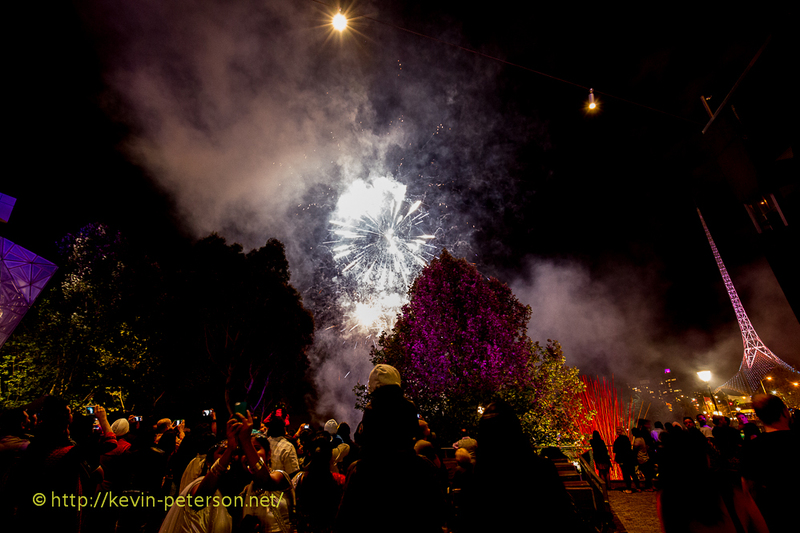 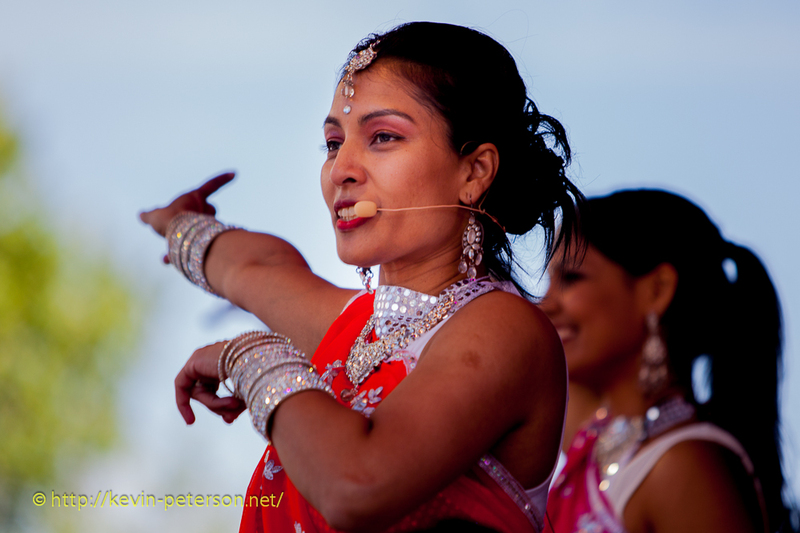 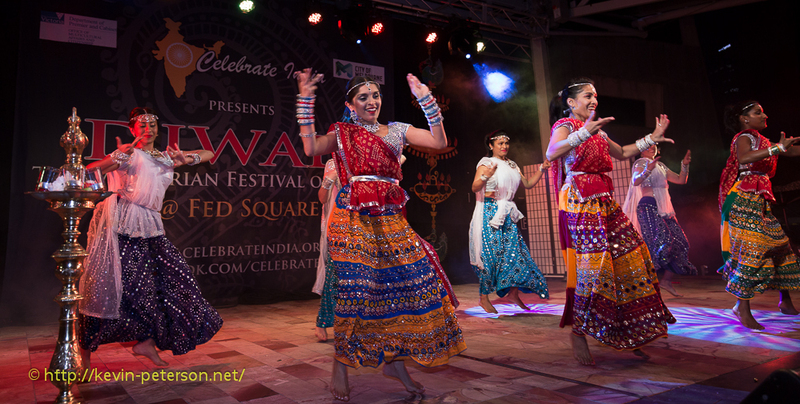 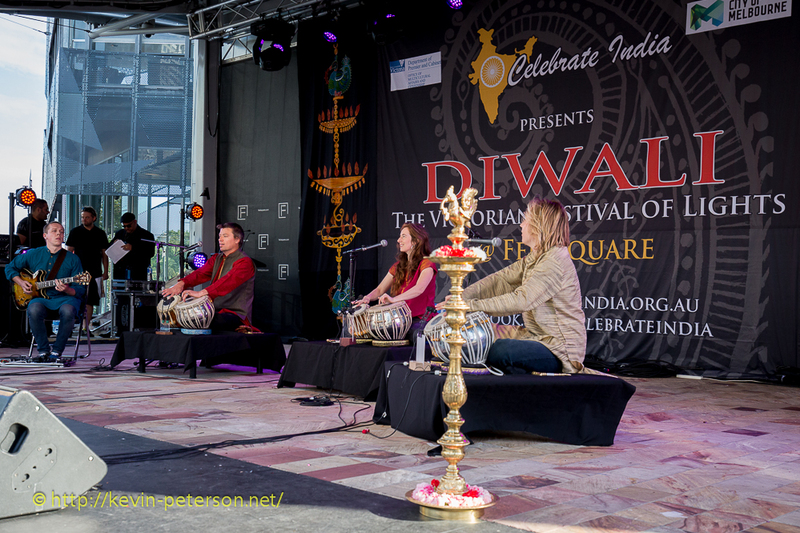 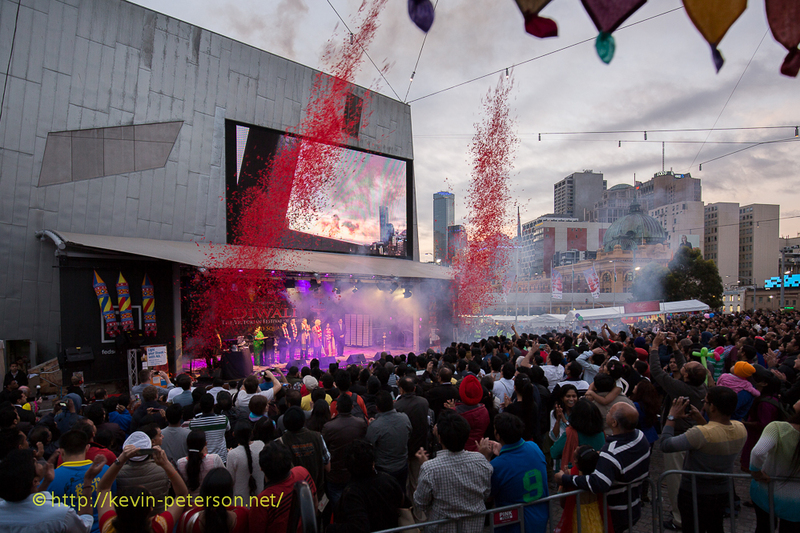 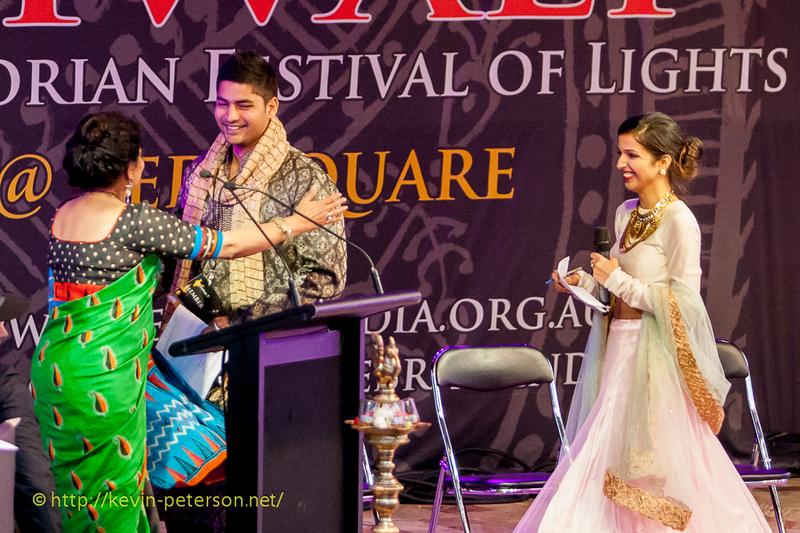 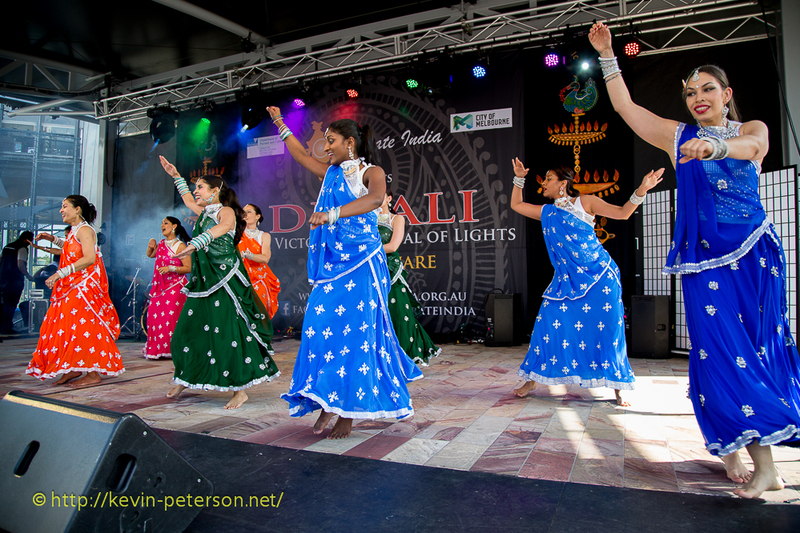 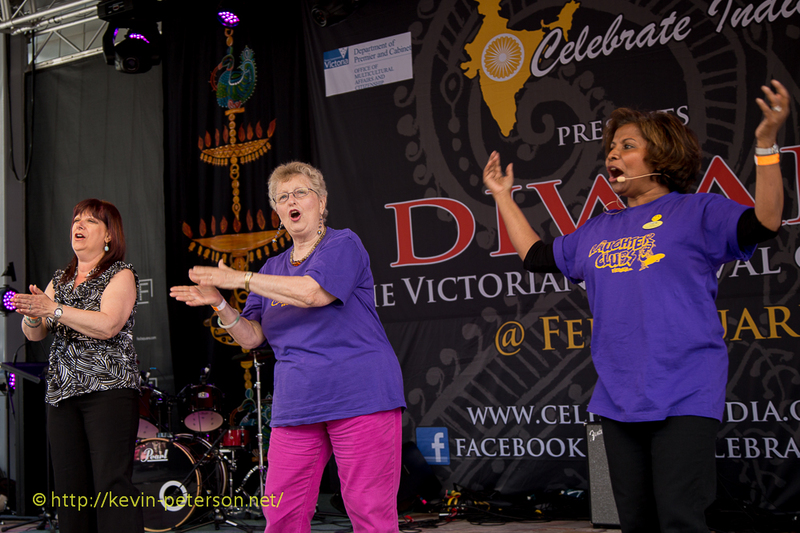 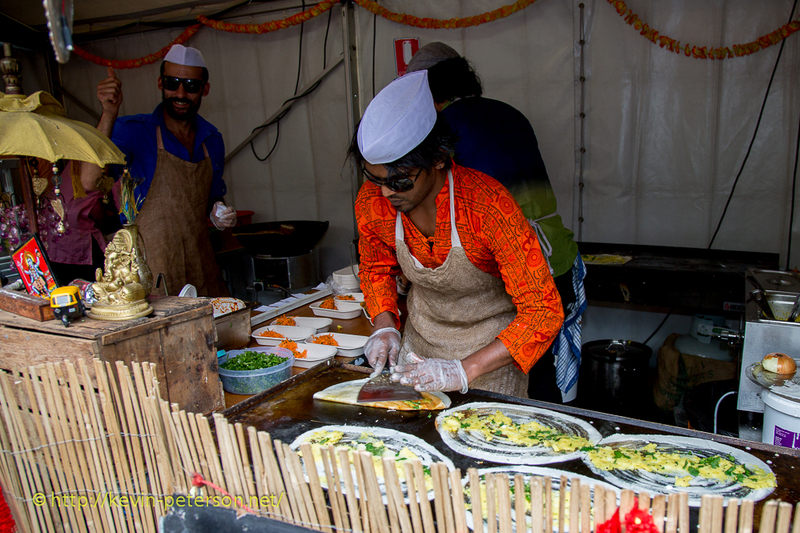 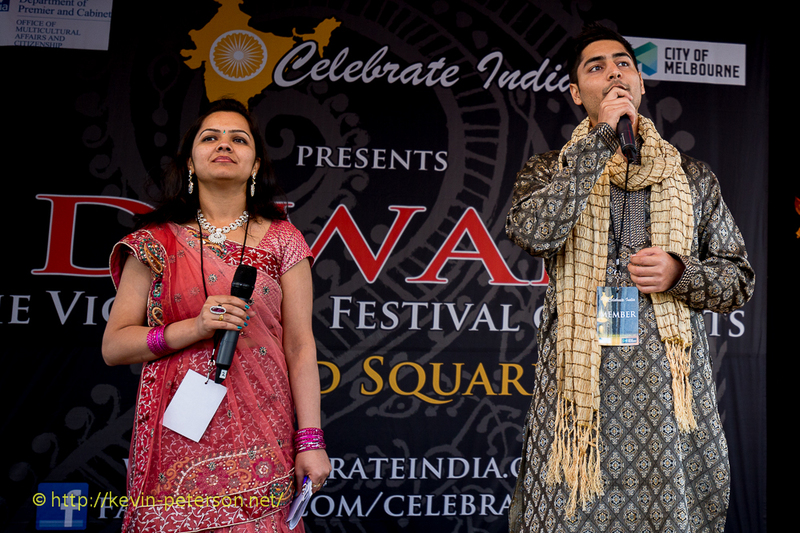 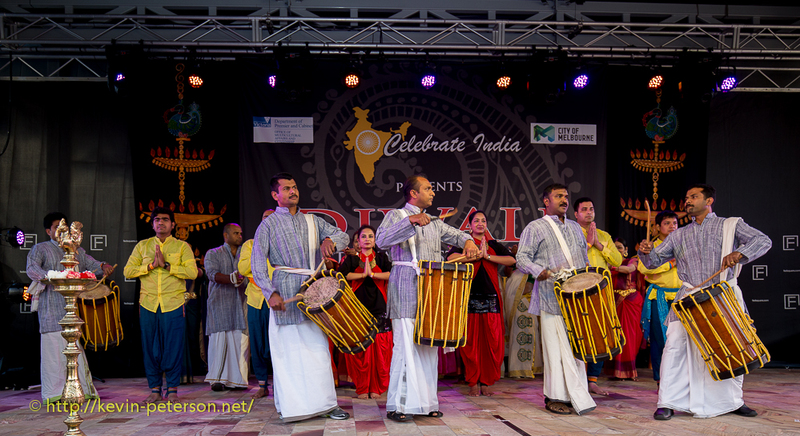 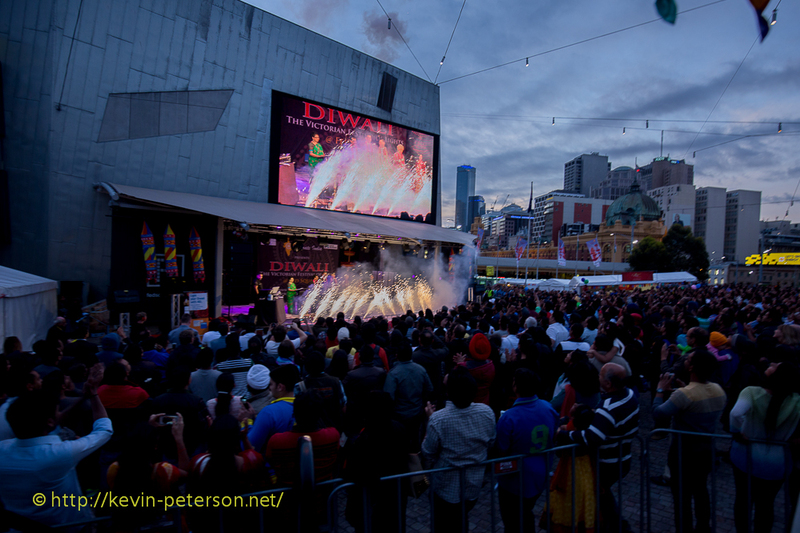 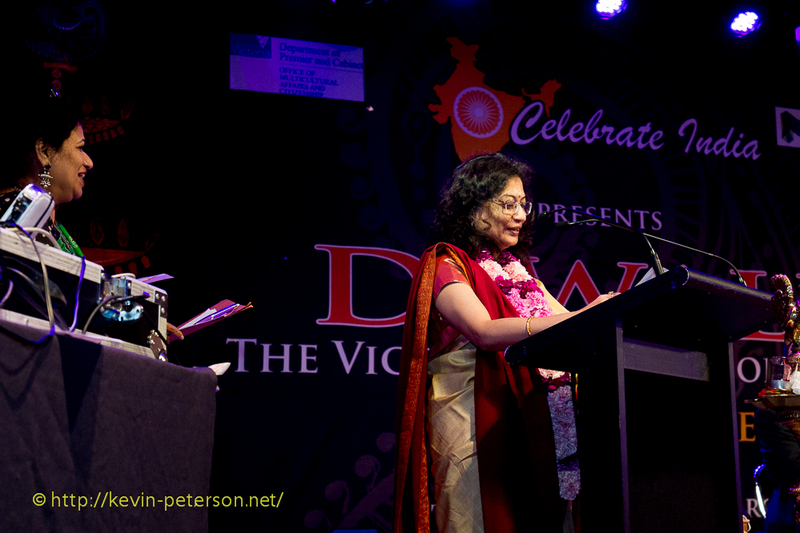 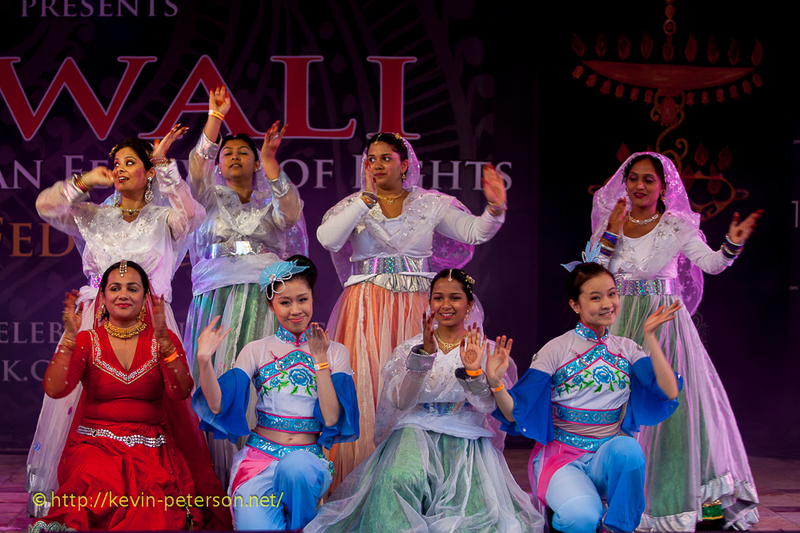 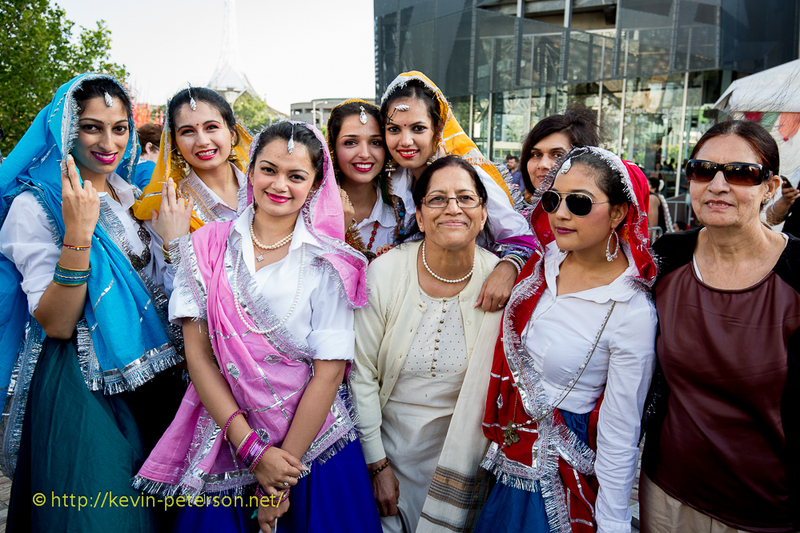 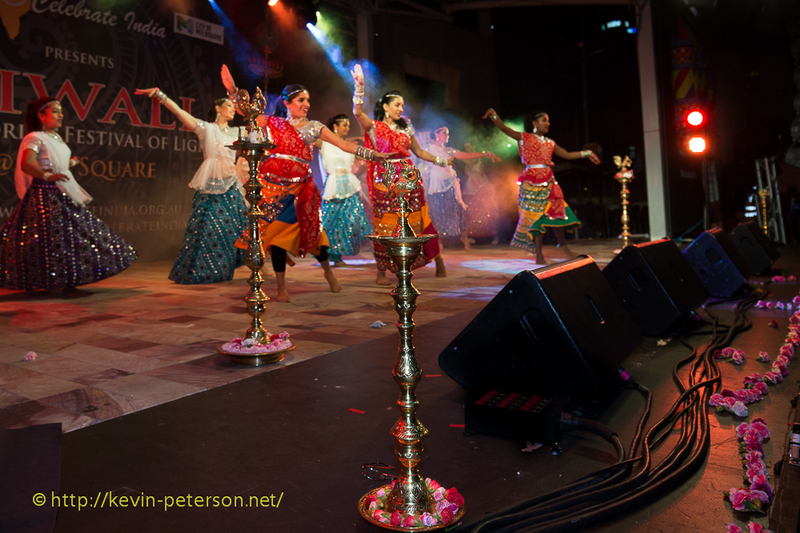 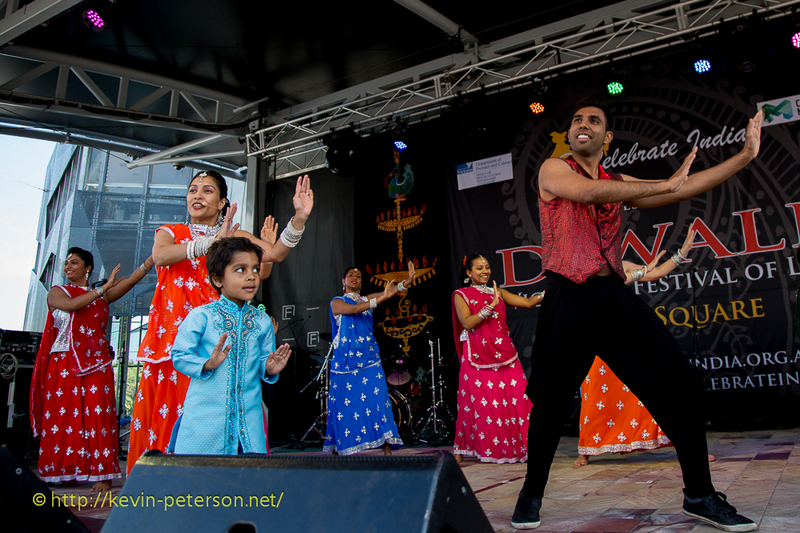 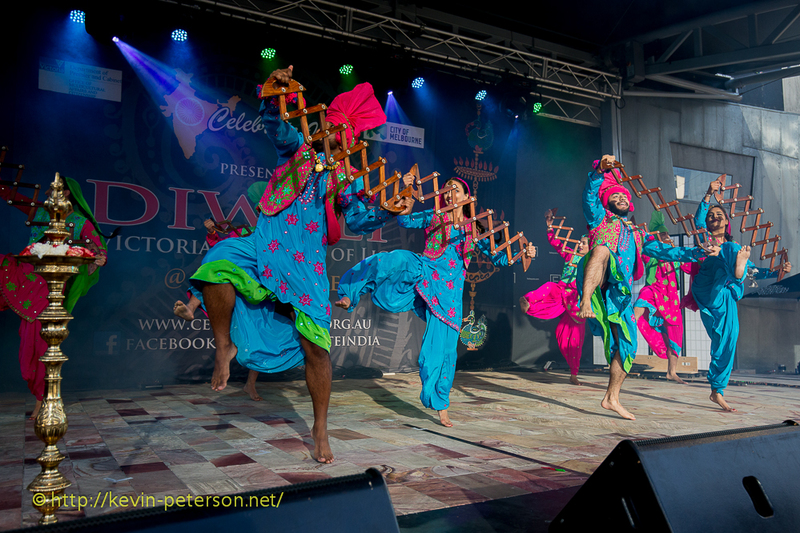 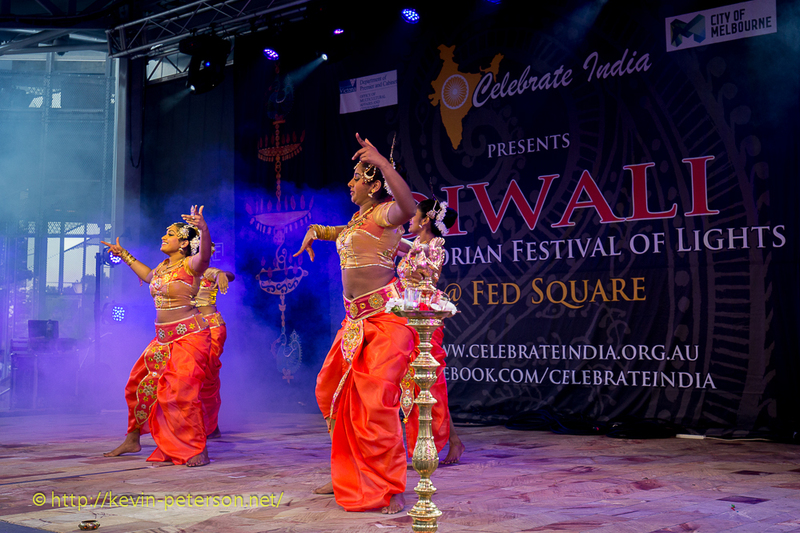 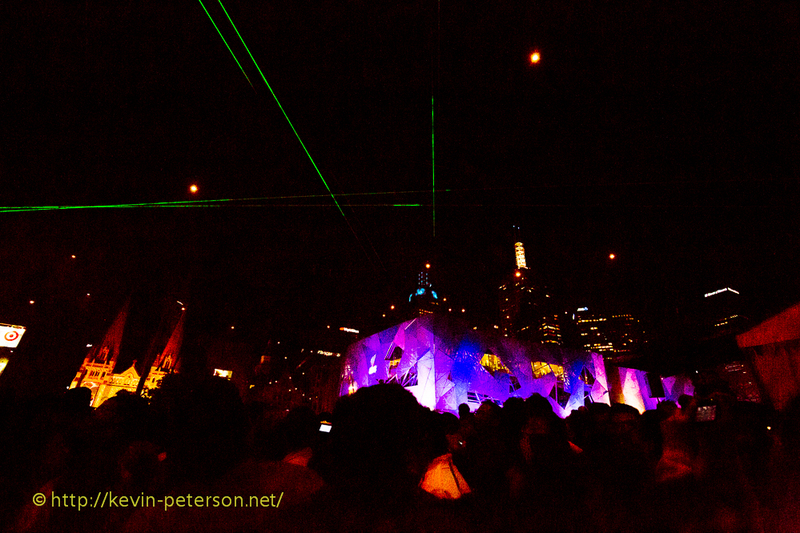 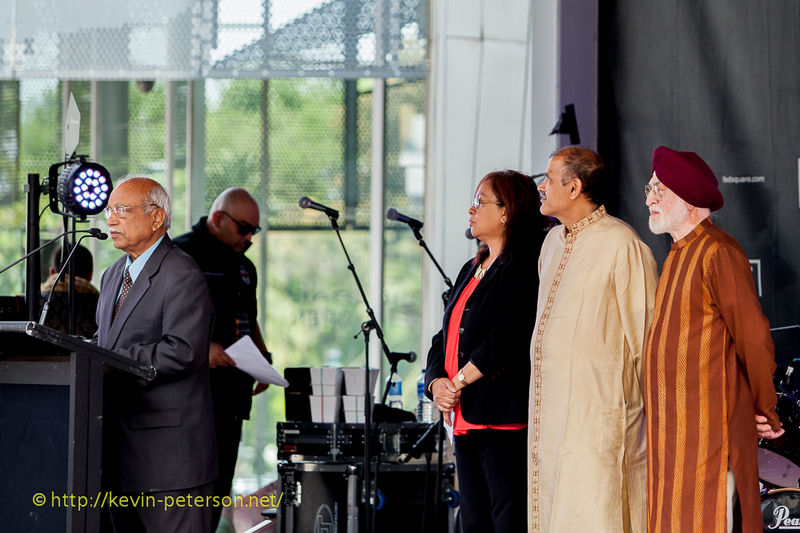 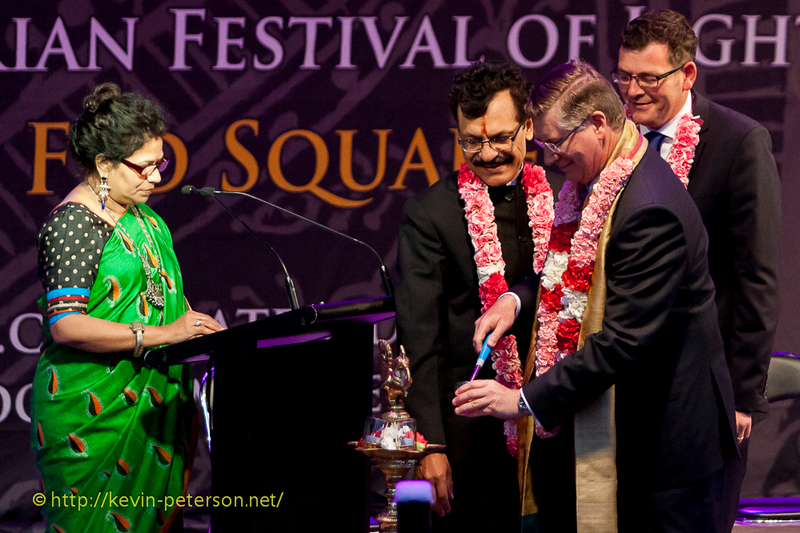 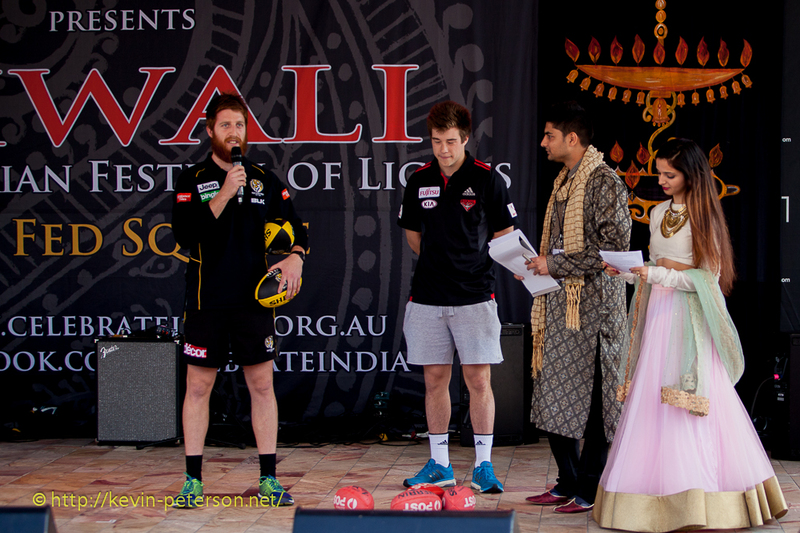 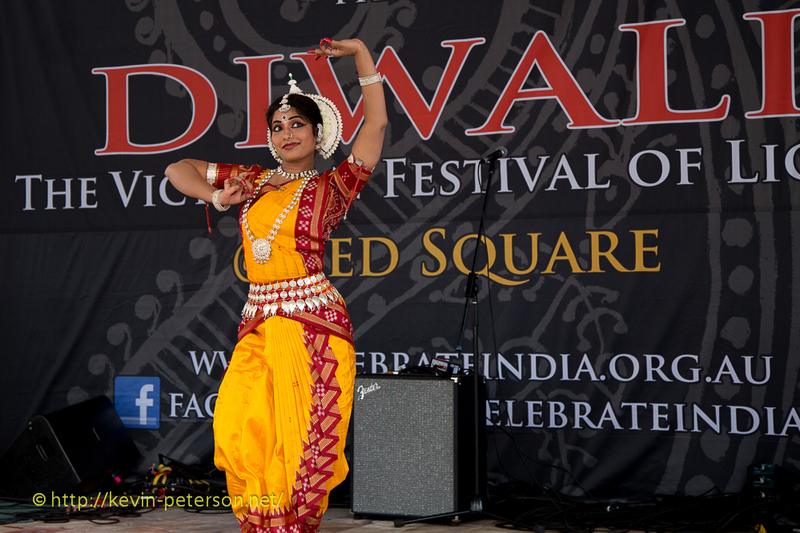 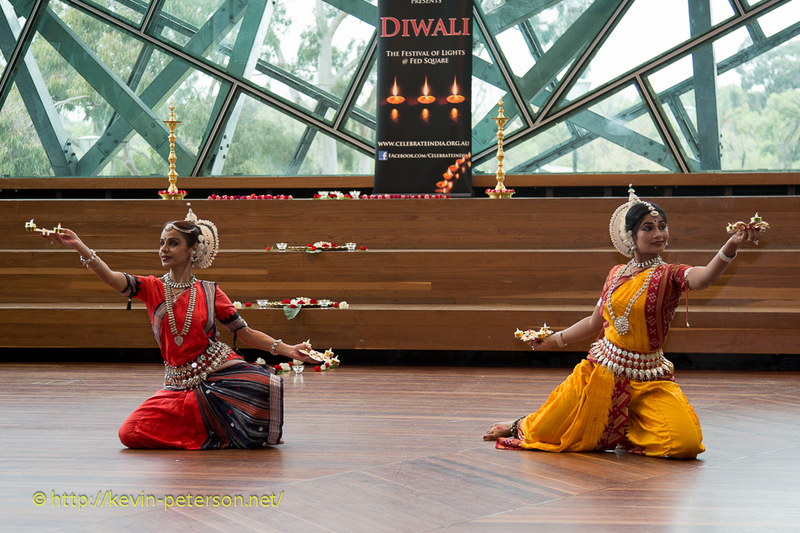 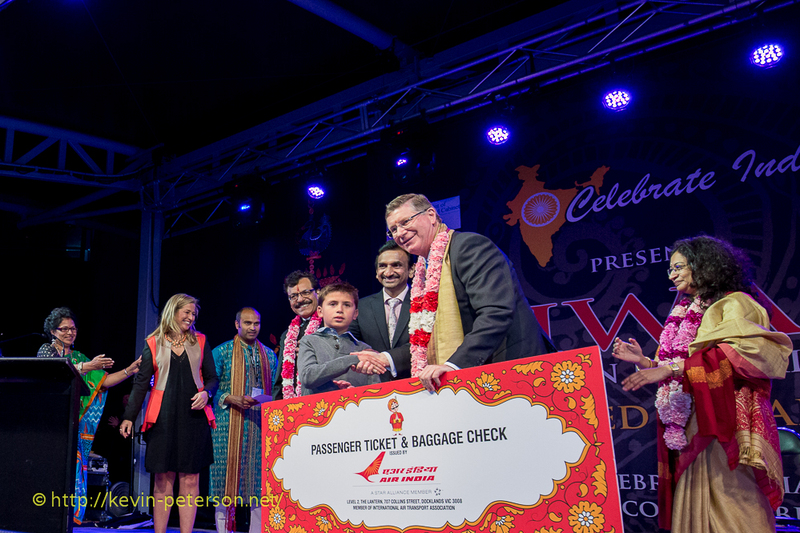 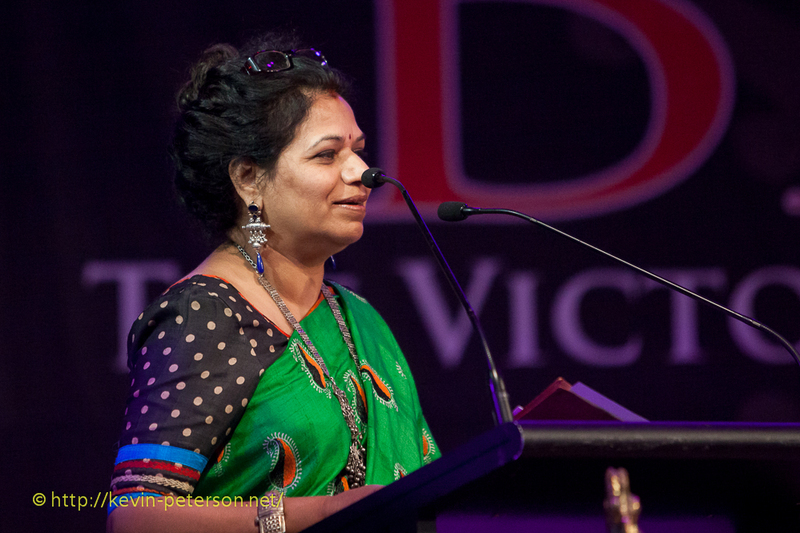 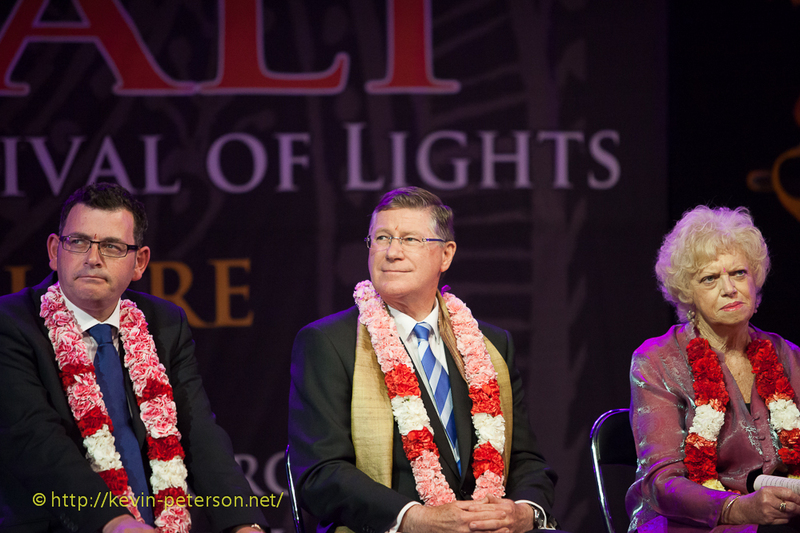 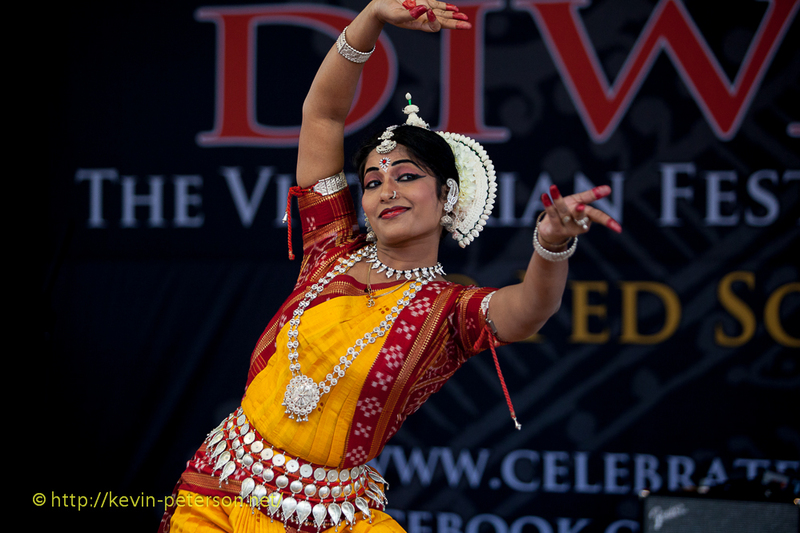 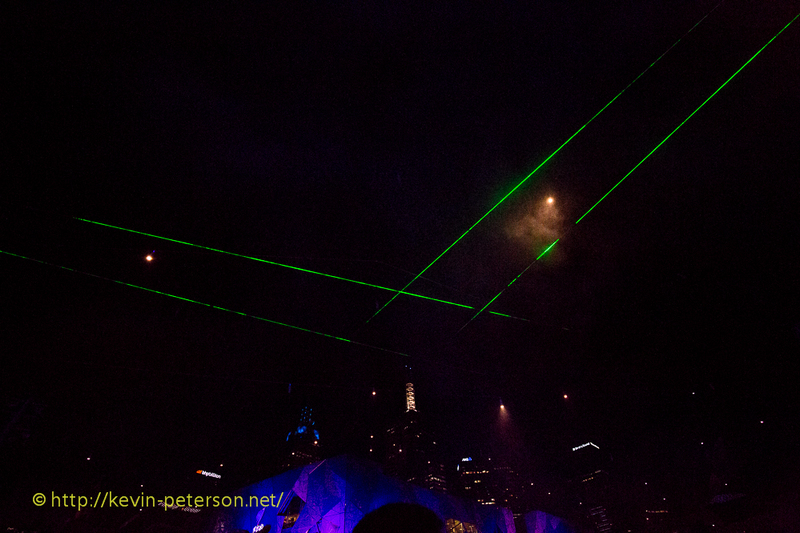 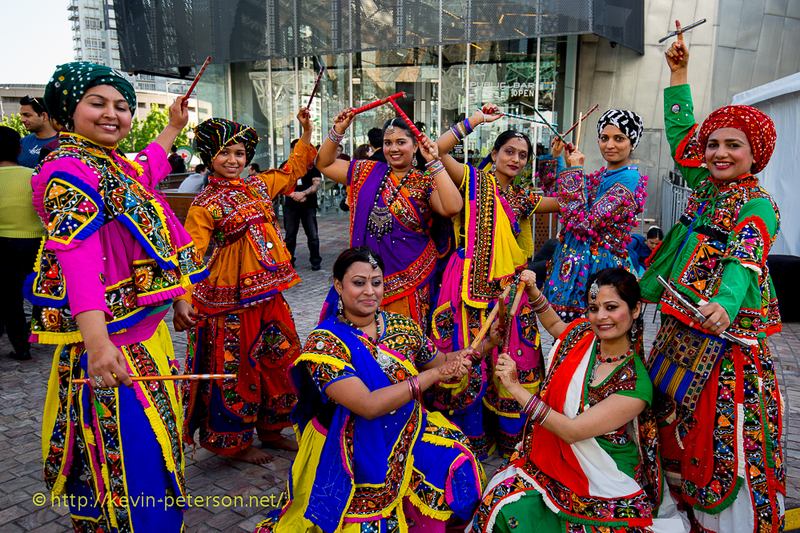 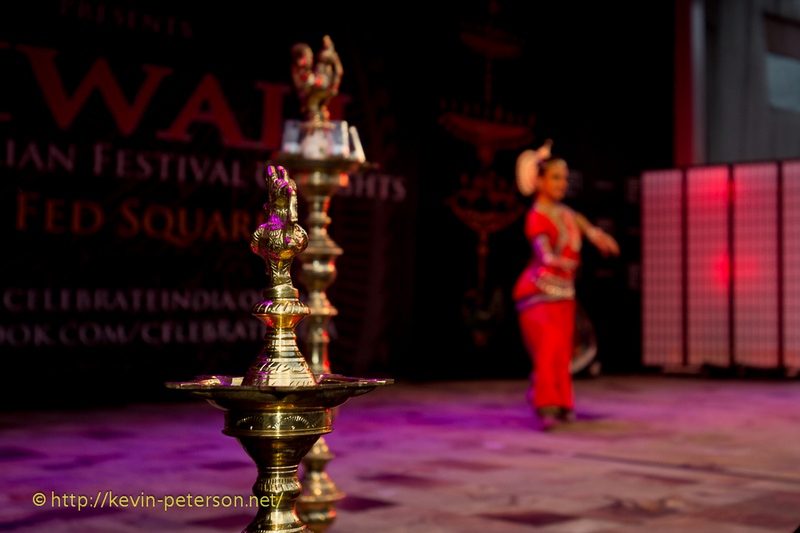 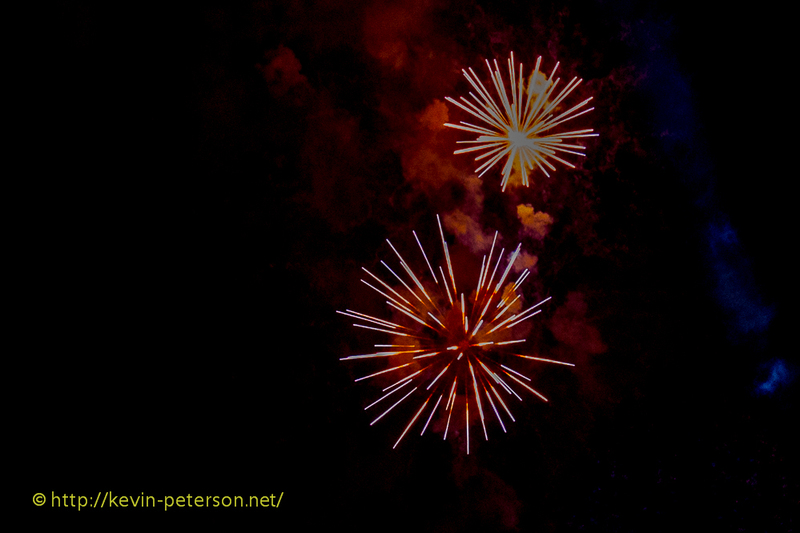 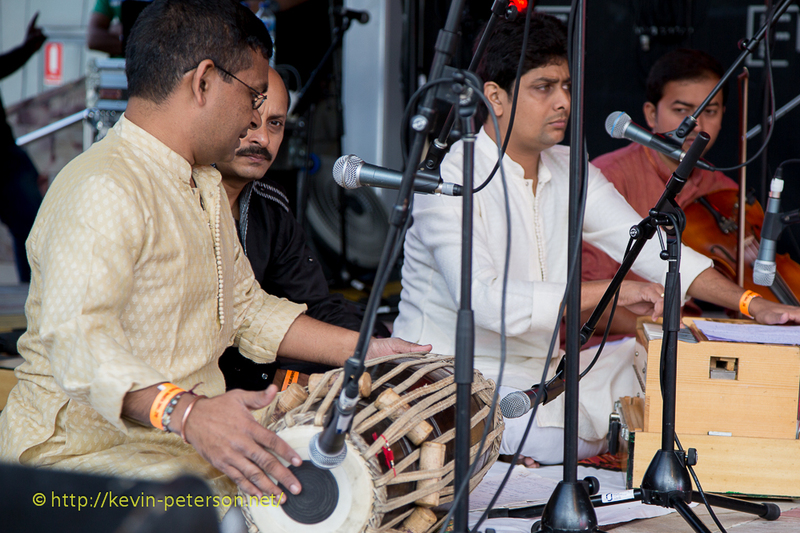 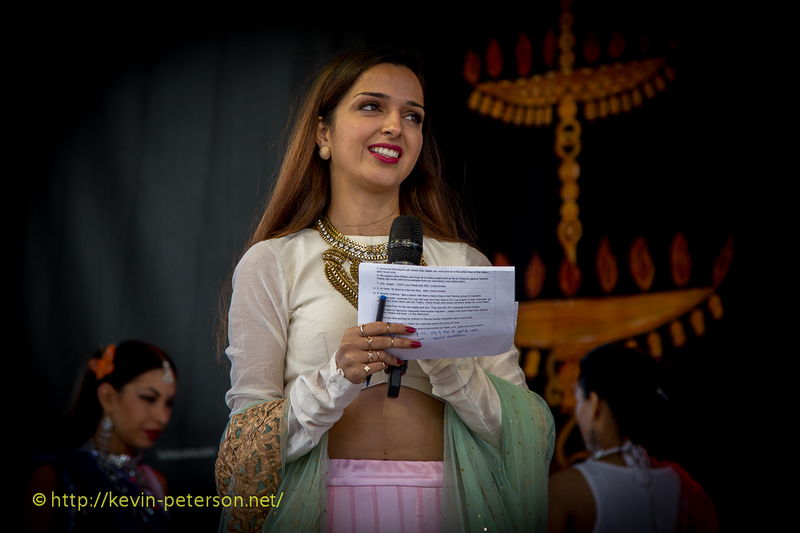 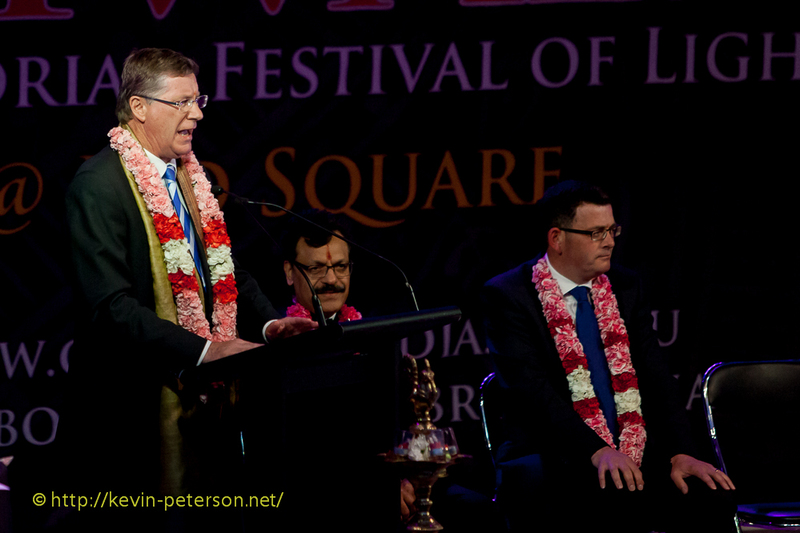 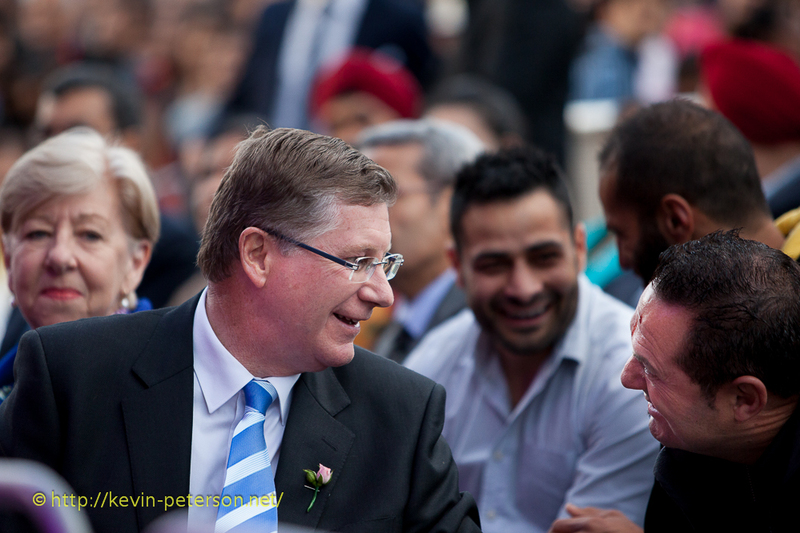 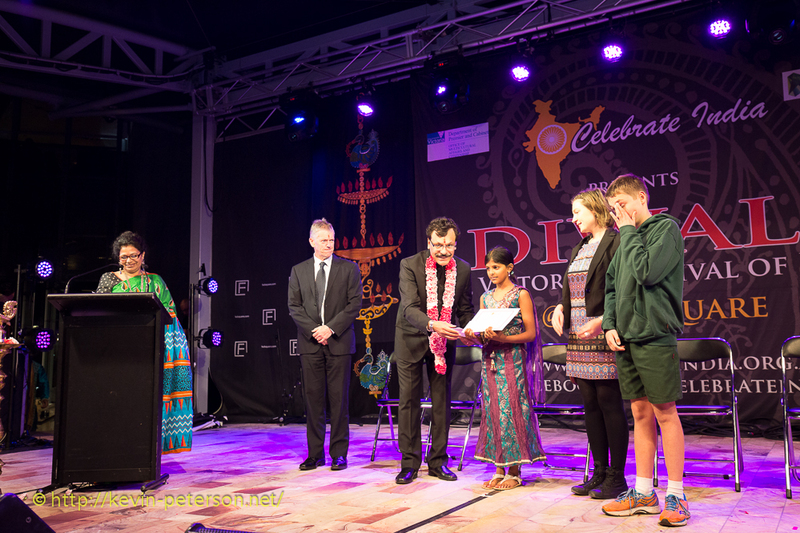 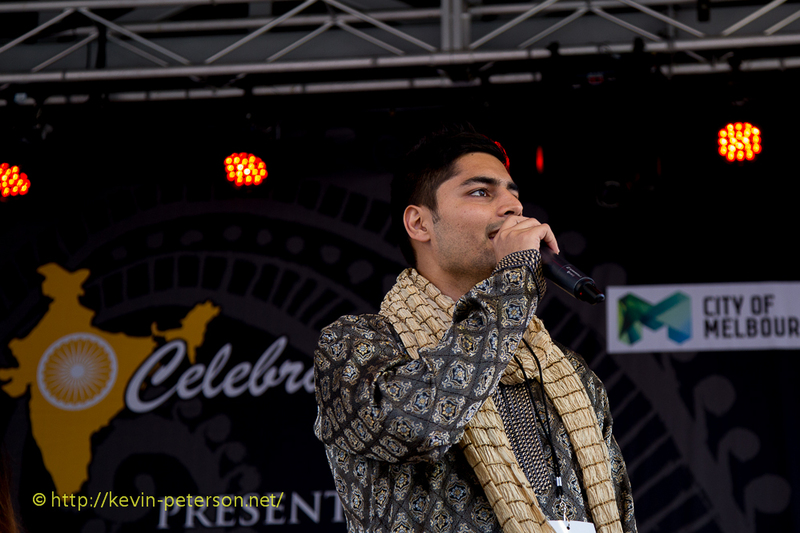 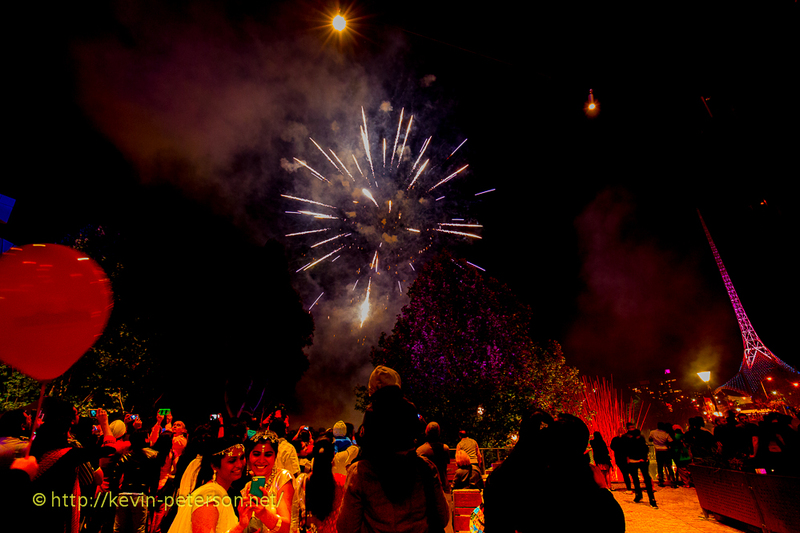 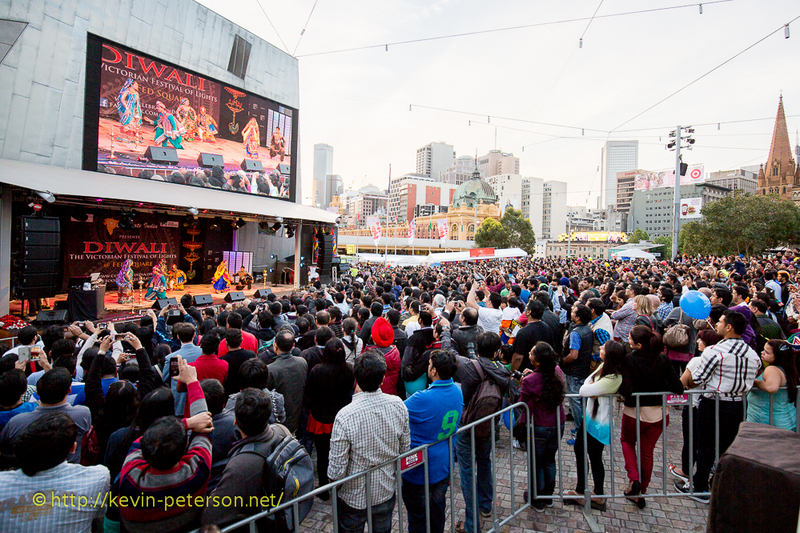 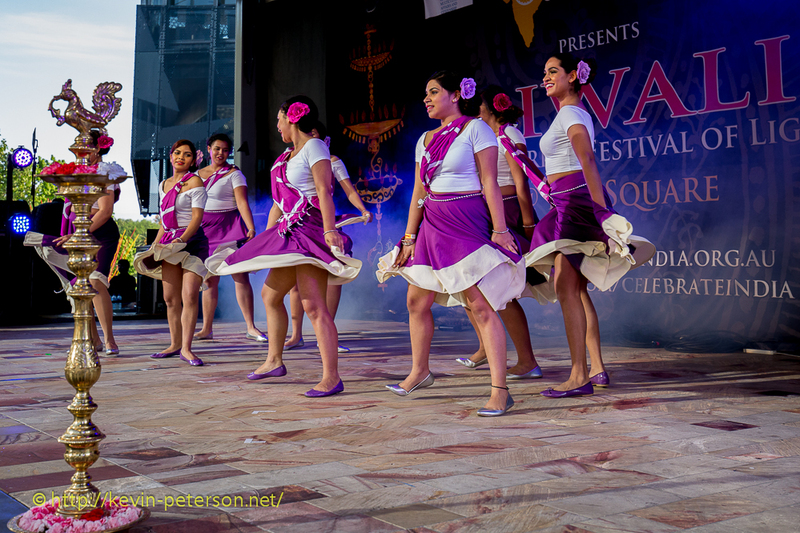 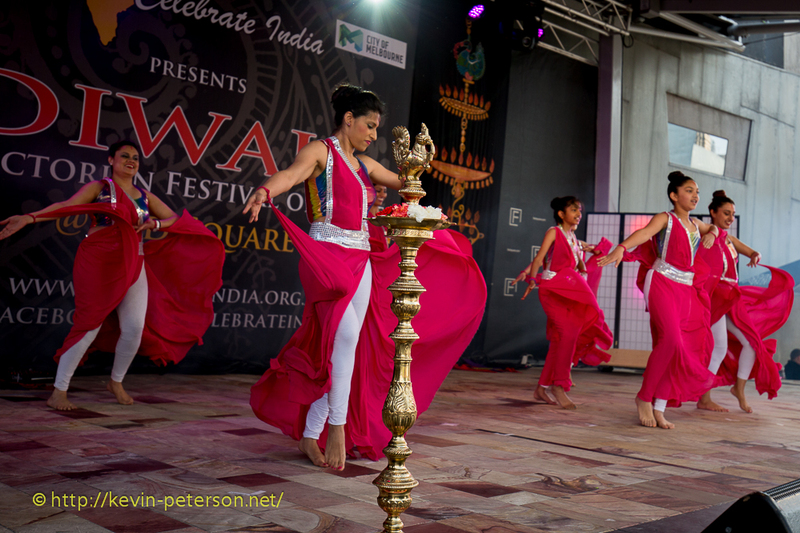 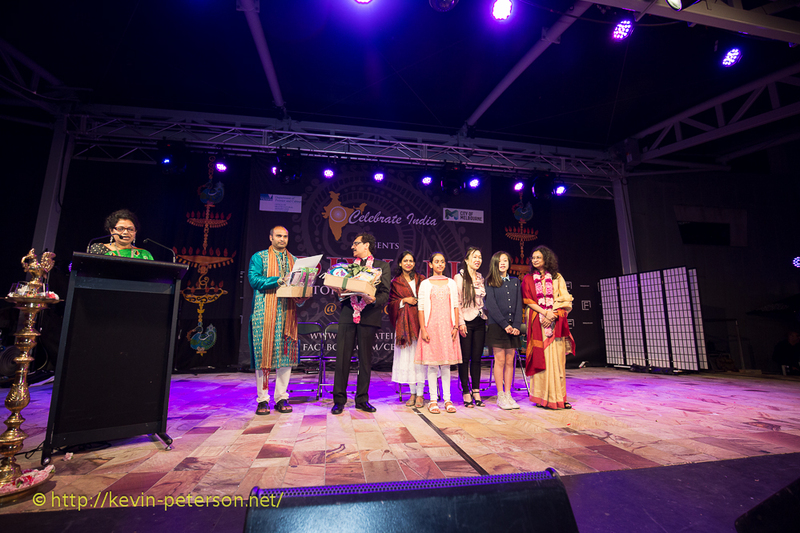 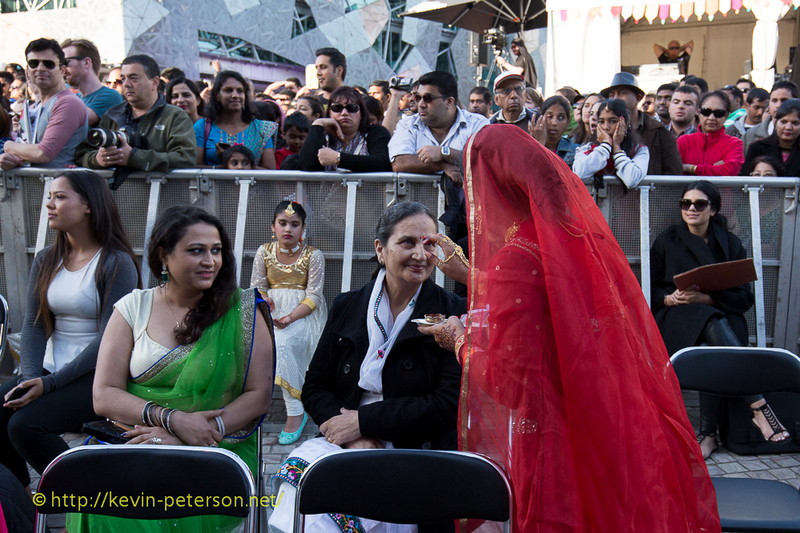 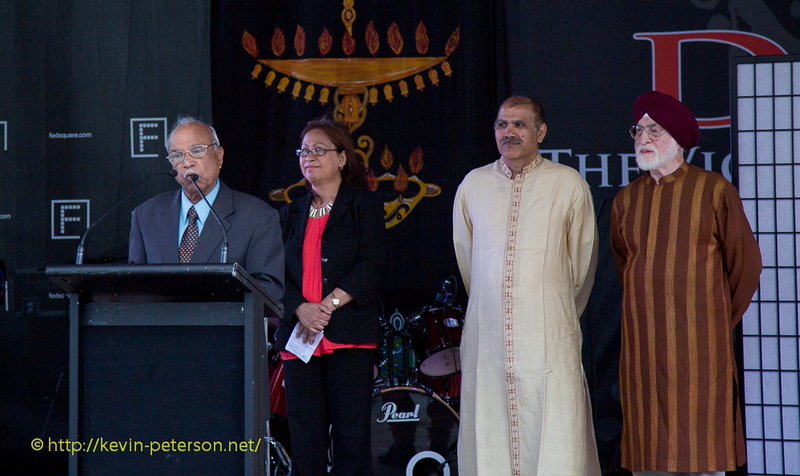 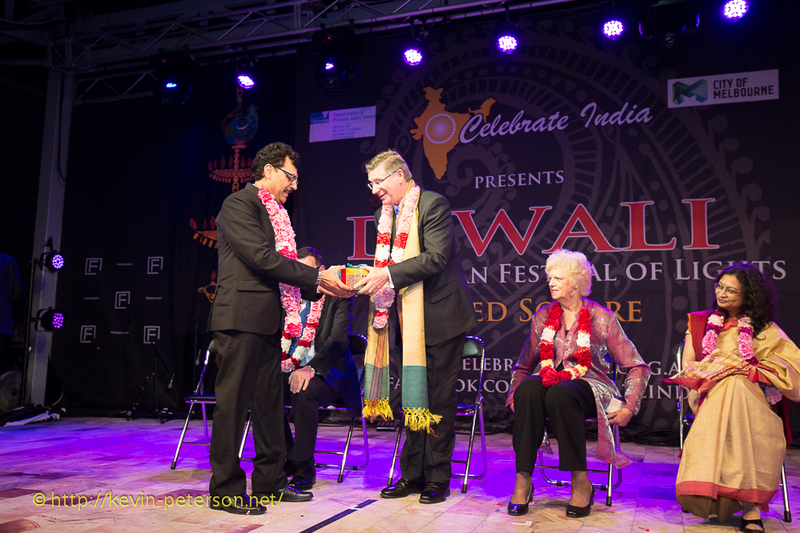 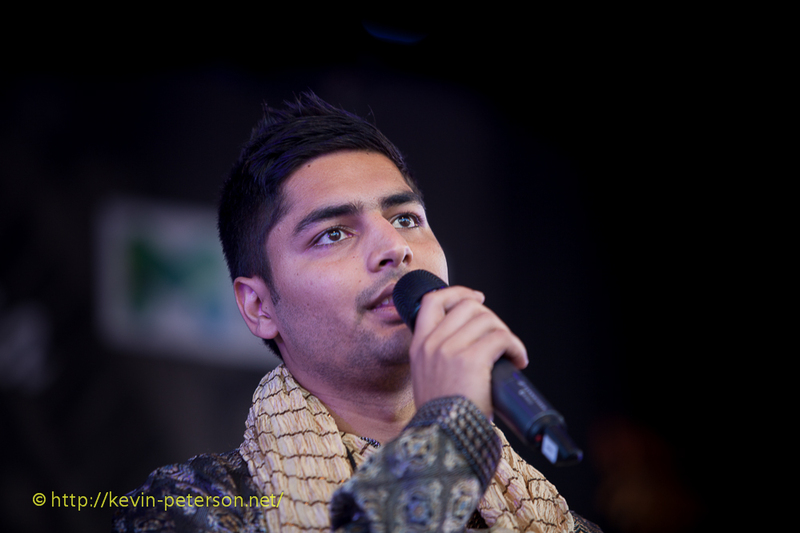 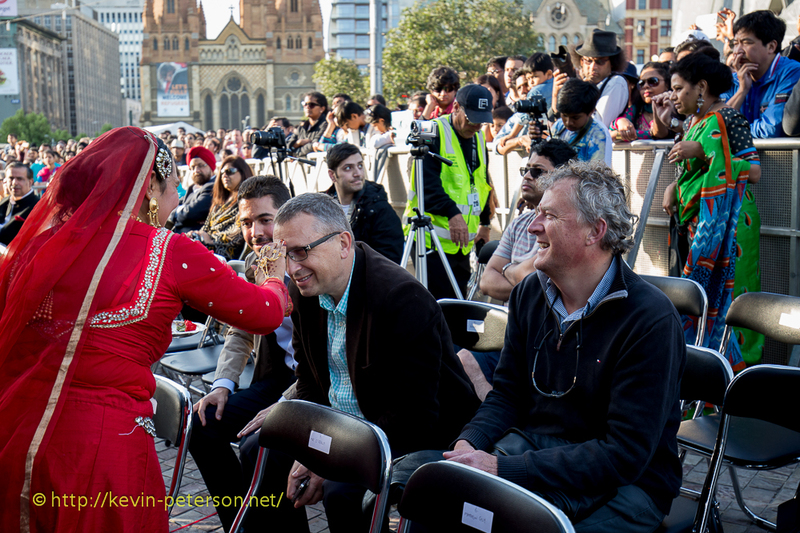 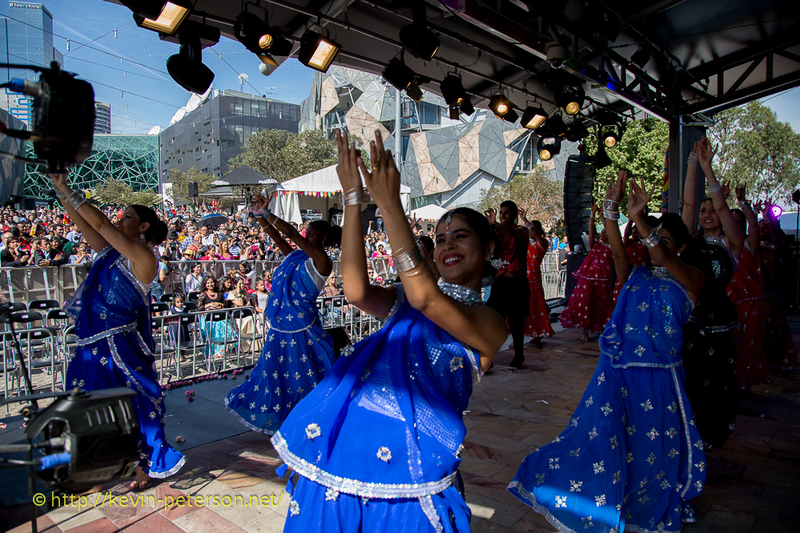 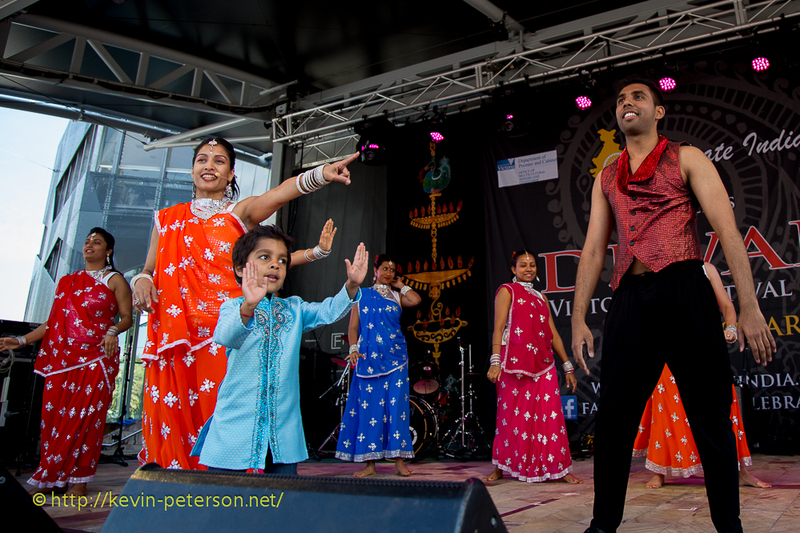 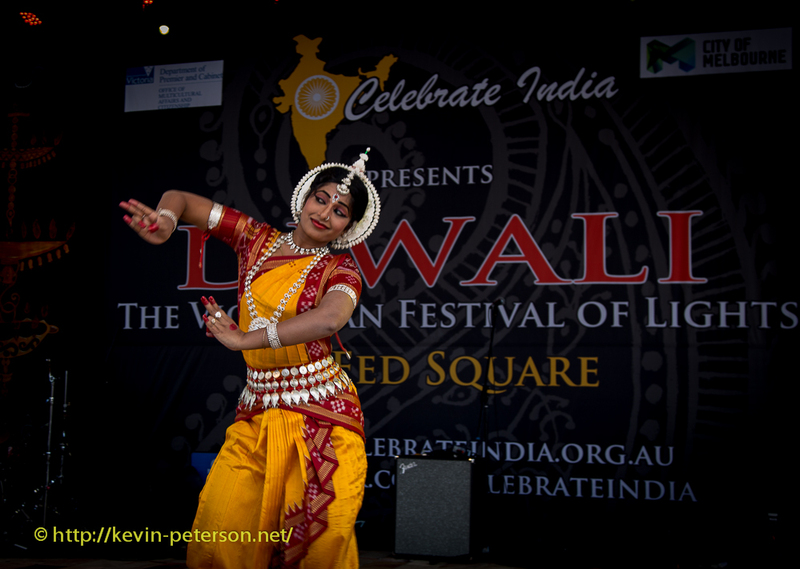 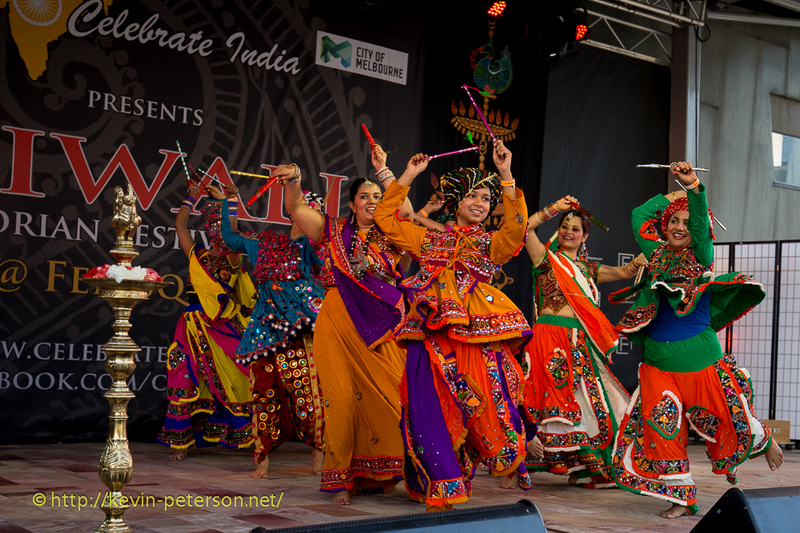 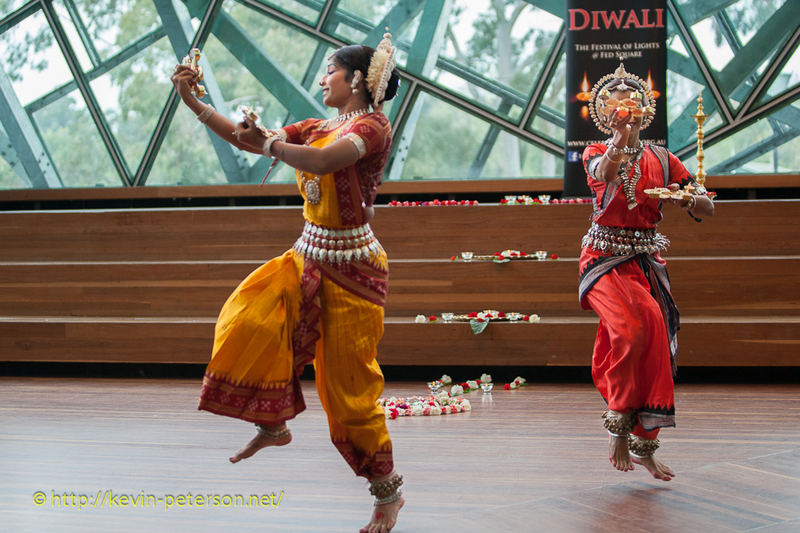 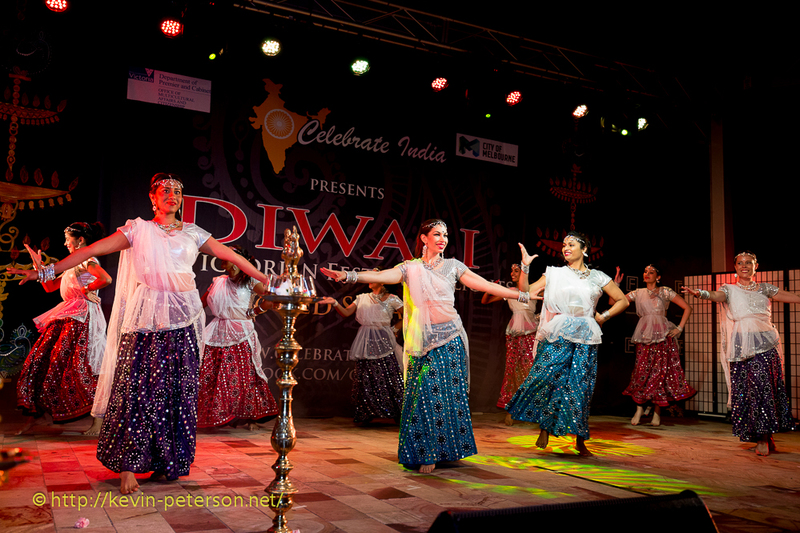 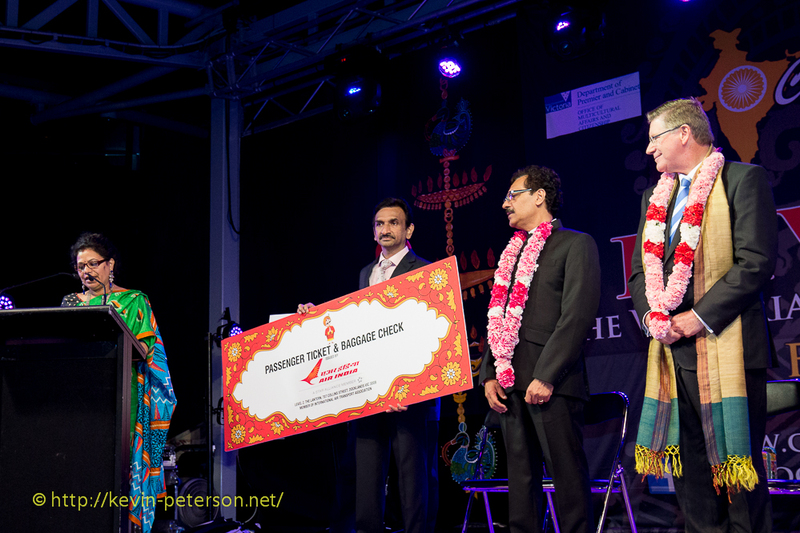 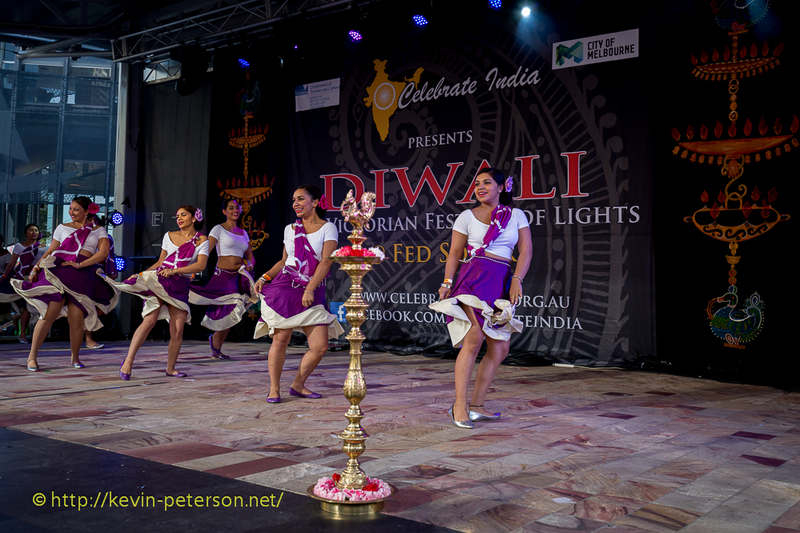 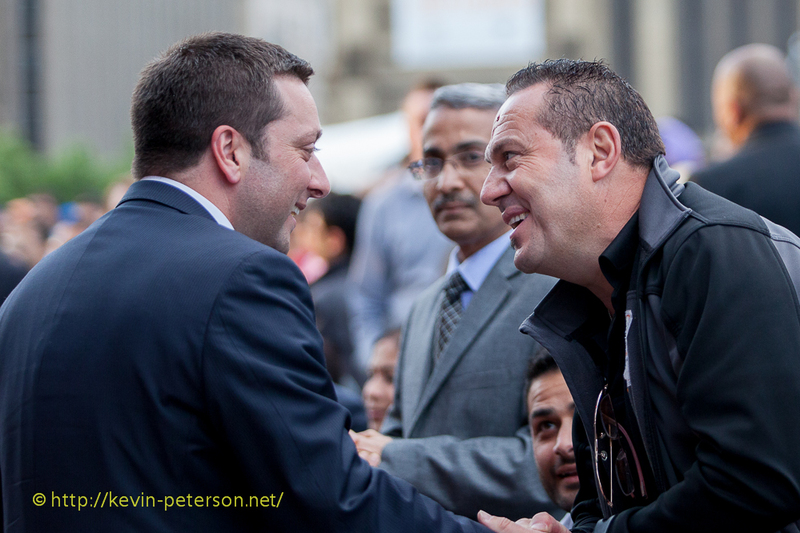 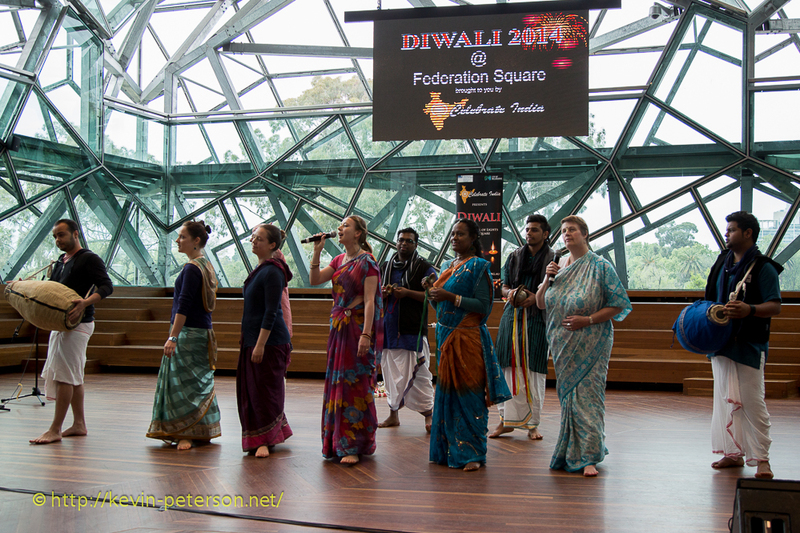 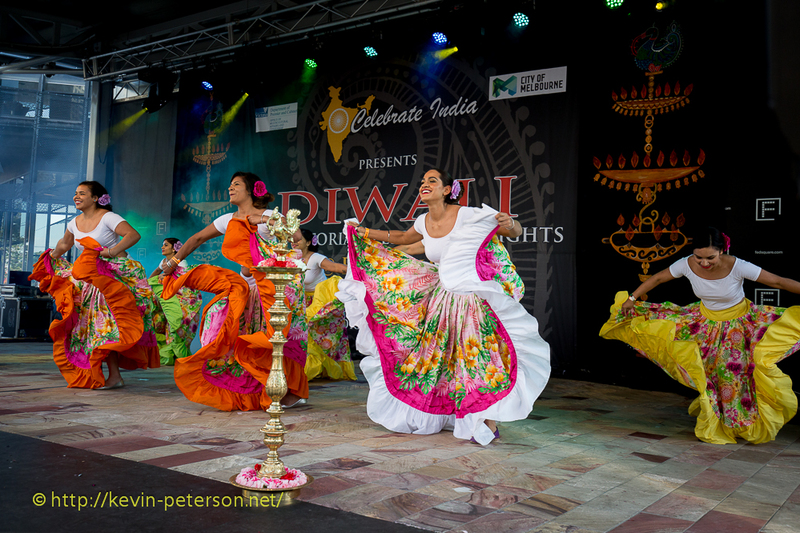 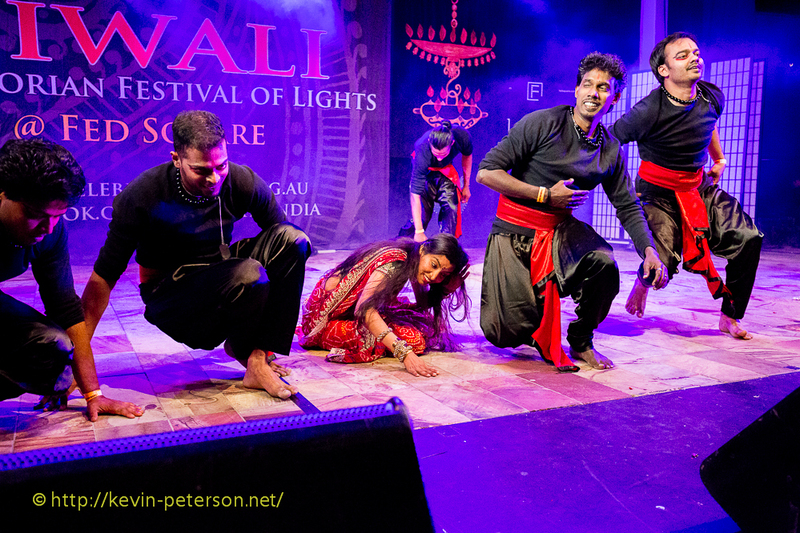 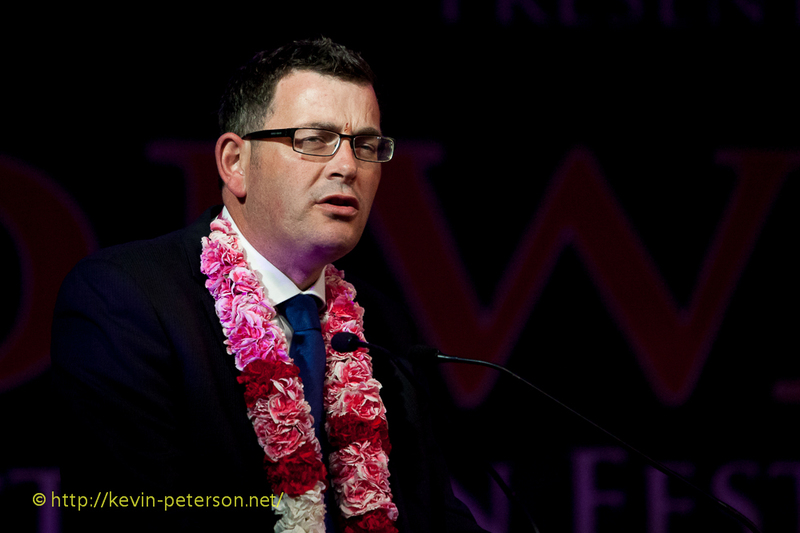 Melbourne celebrated one of its biggest Multicultural Festivals, Diwali in grand style at Federation Square on Saturday 25th October 2014. 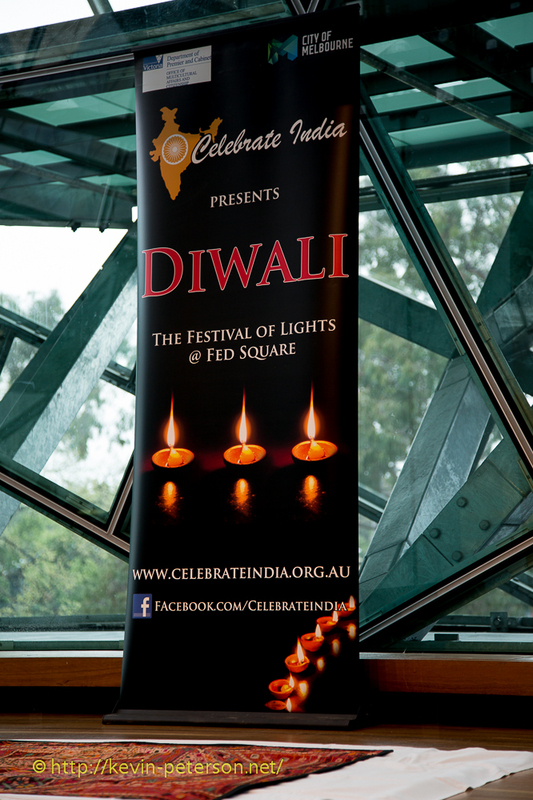 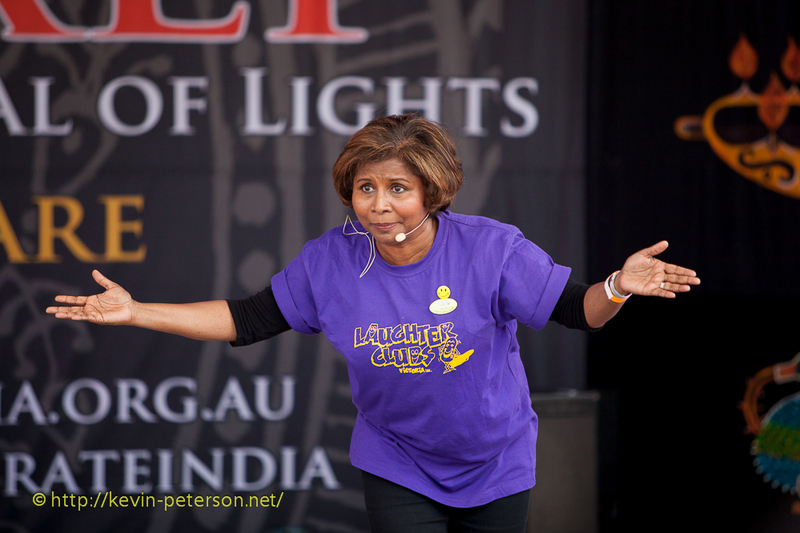 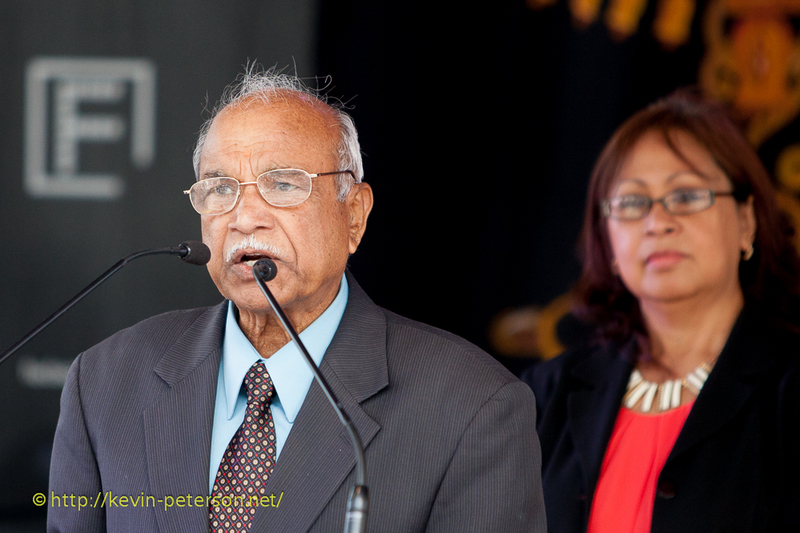 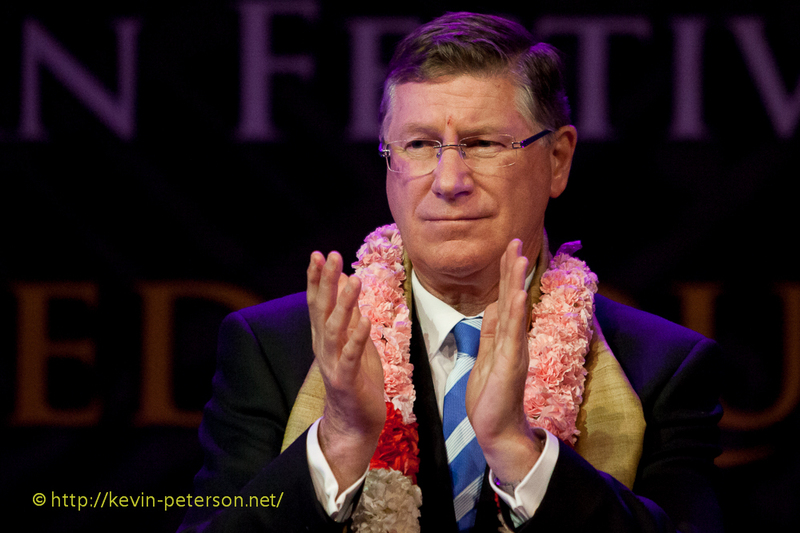 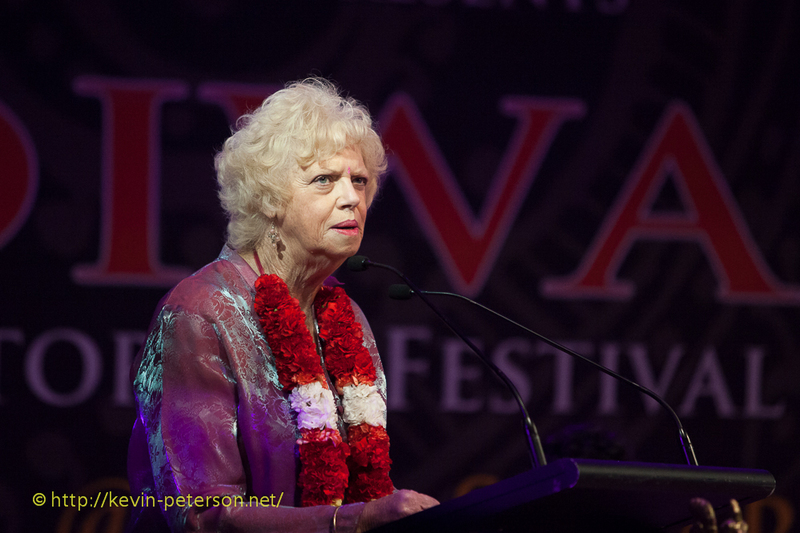 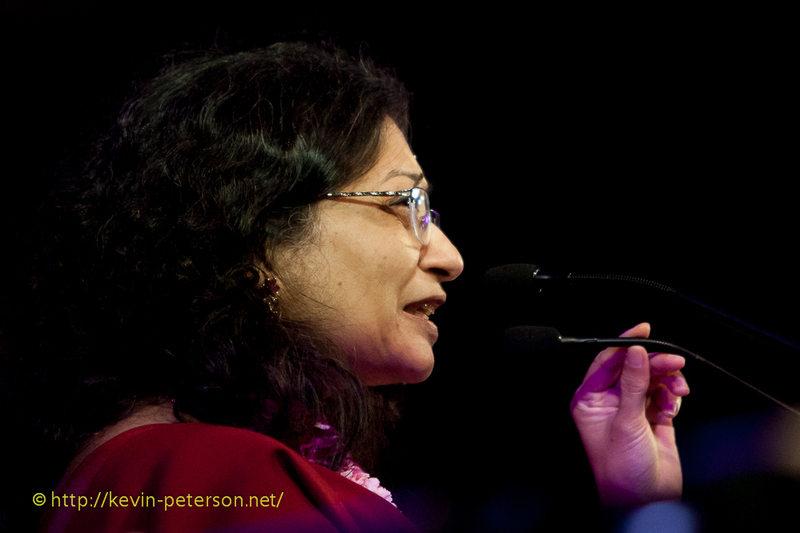 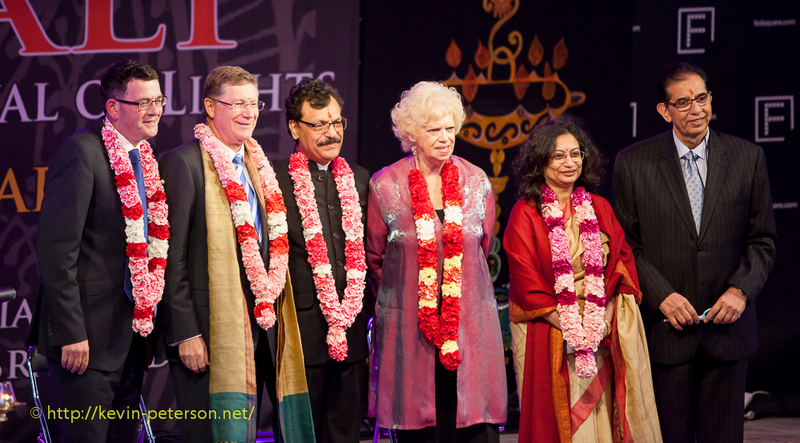 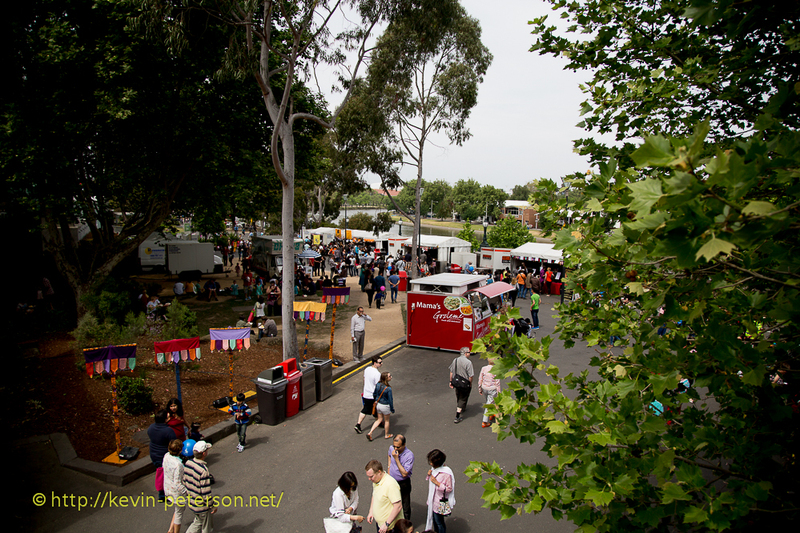 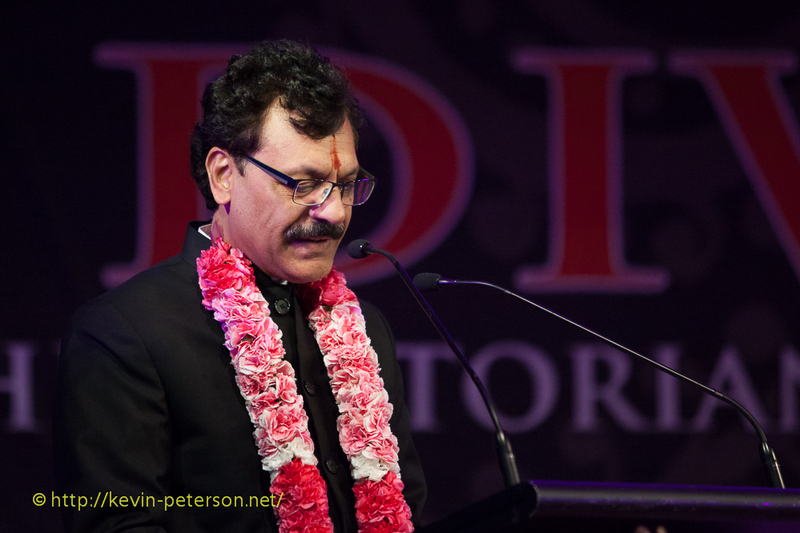 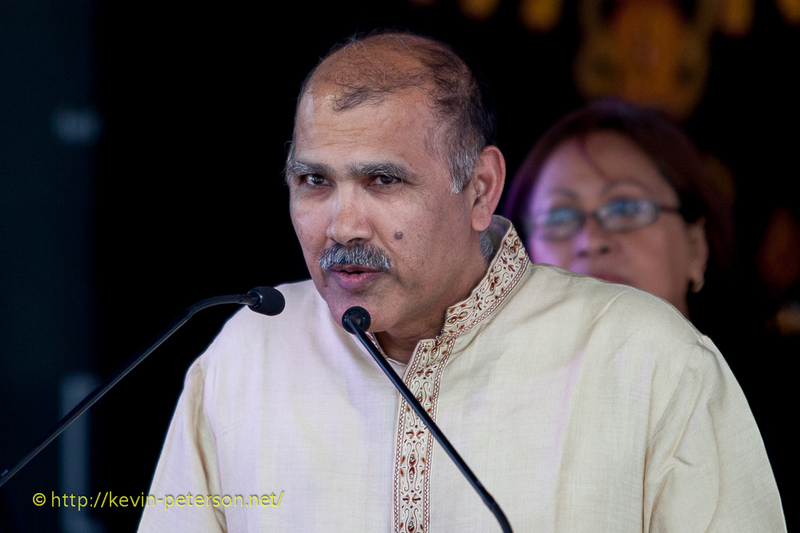 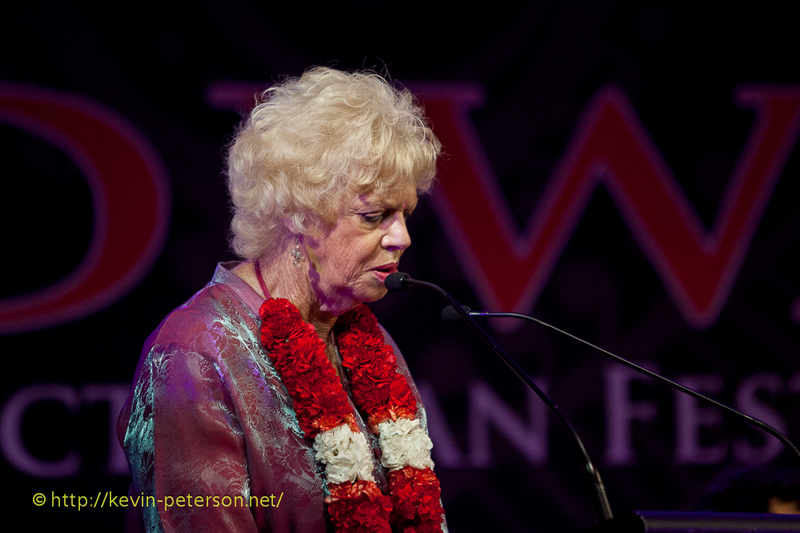 The event, now in its ninth year since 2006, is organised by a not for profit organisation – Celebrate India. 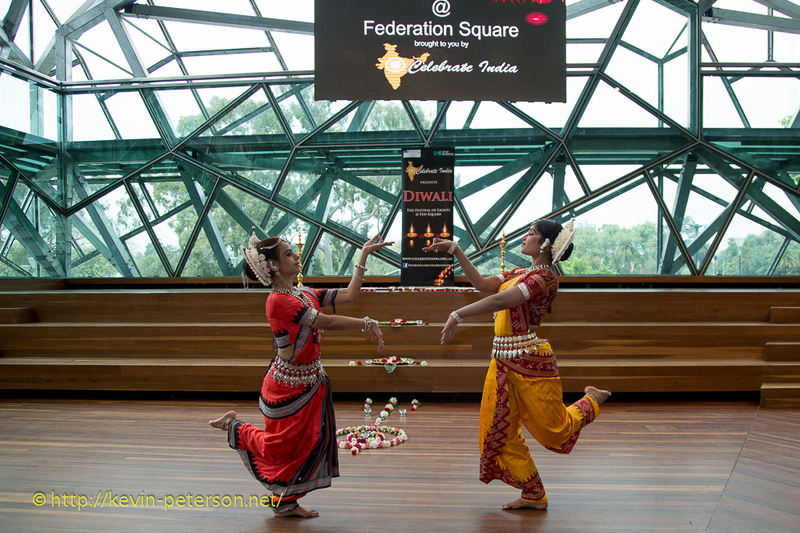 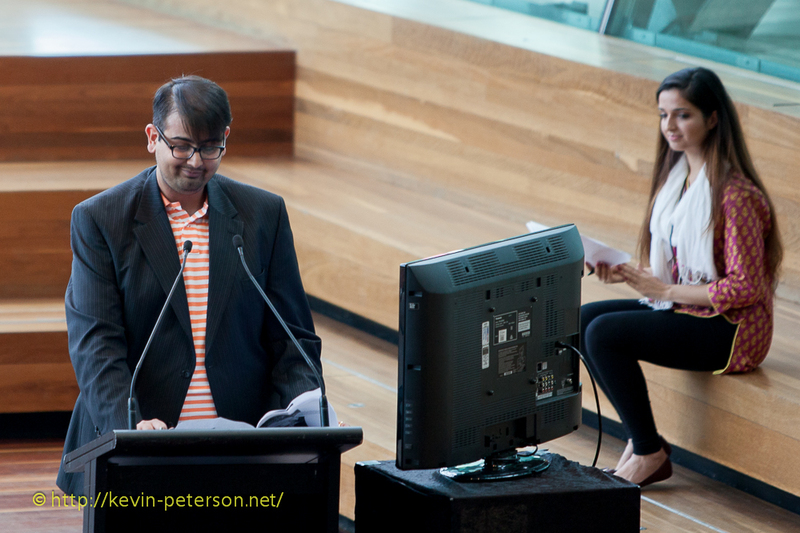 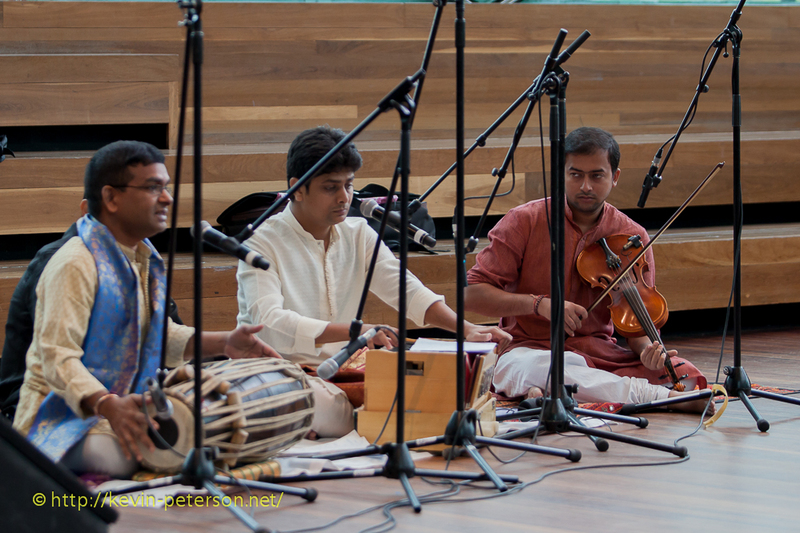 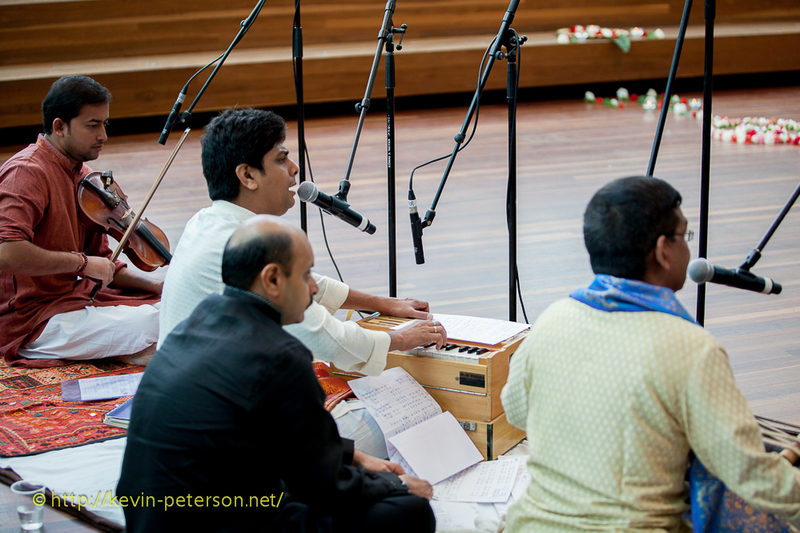 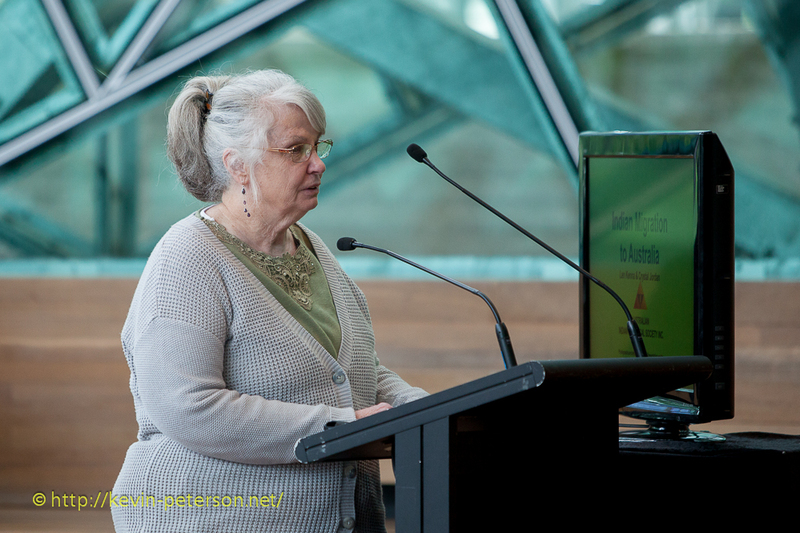 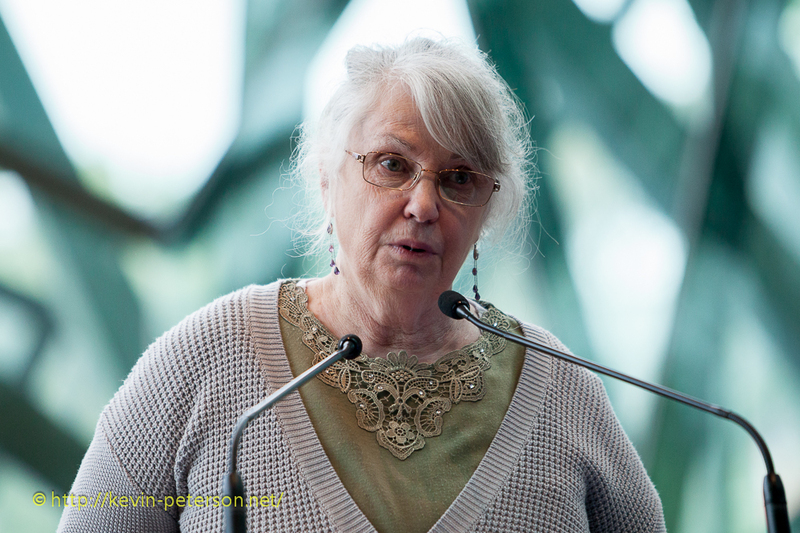 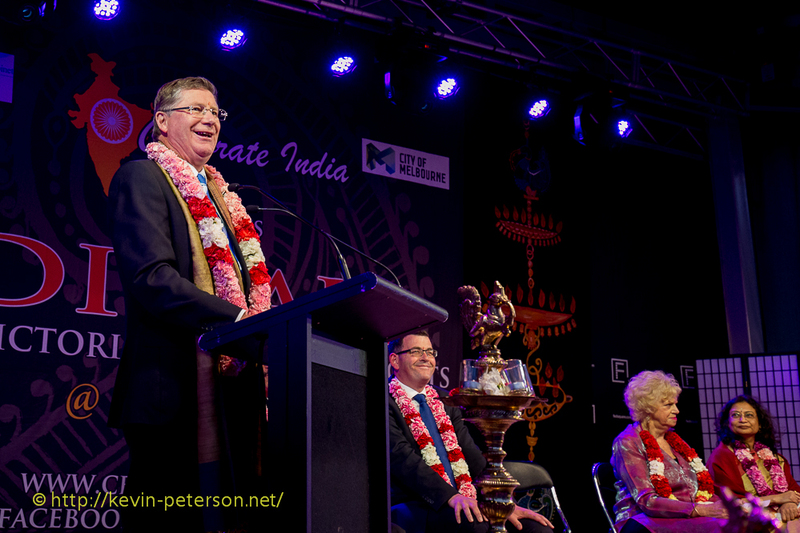 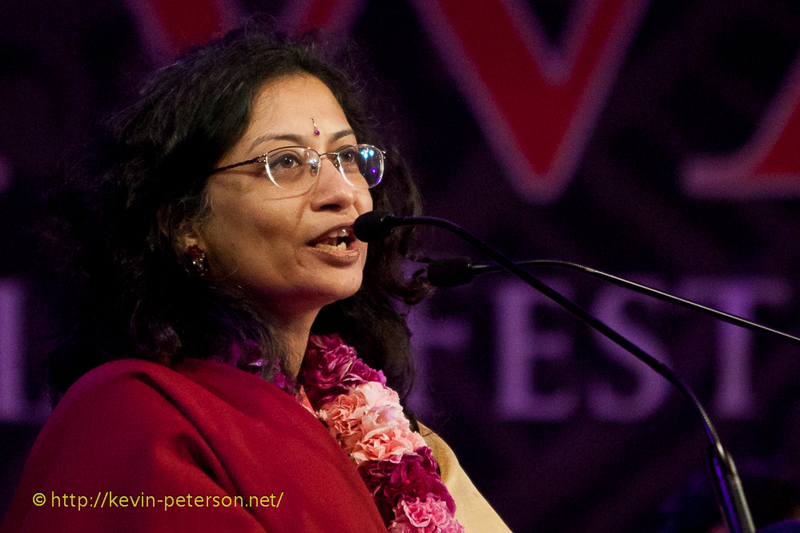 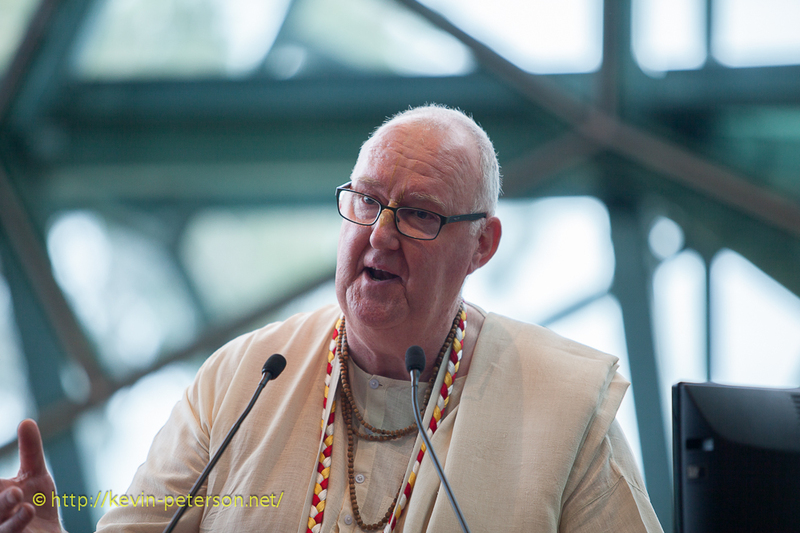 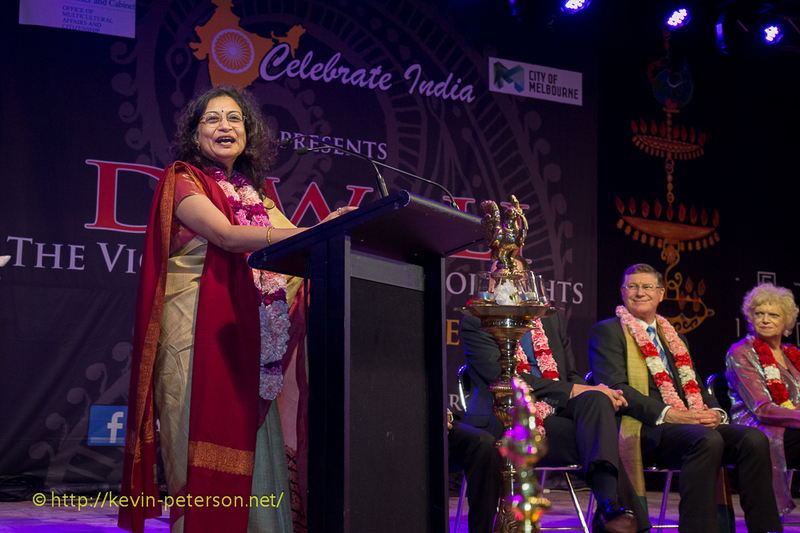 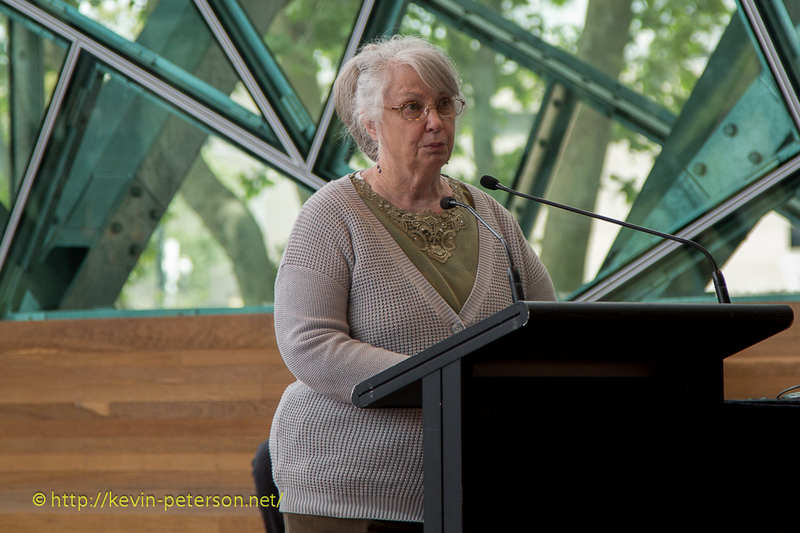 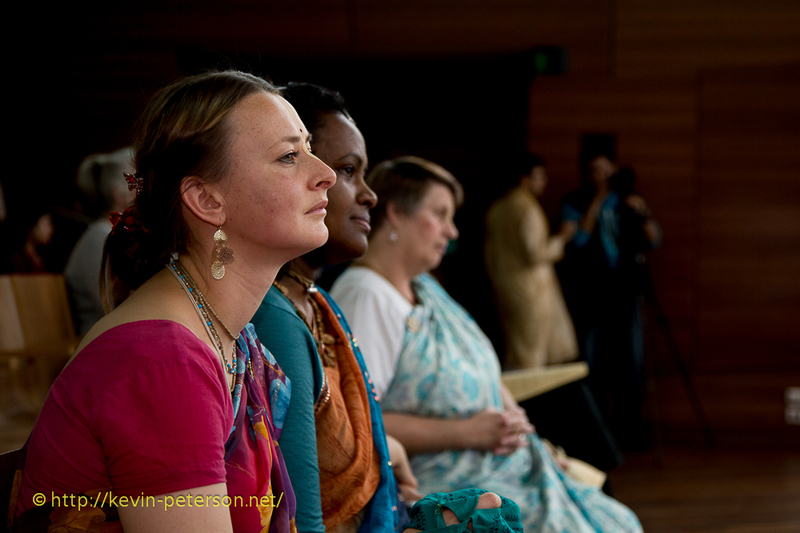 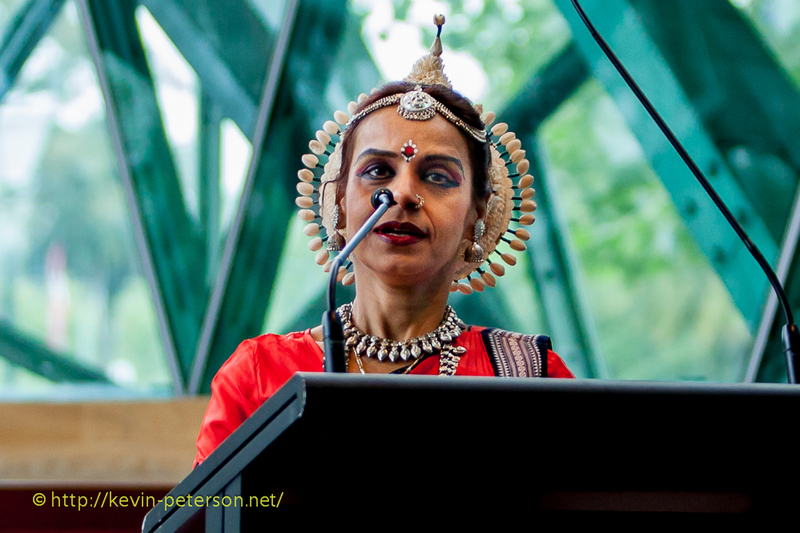 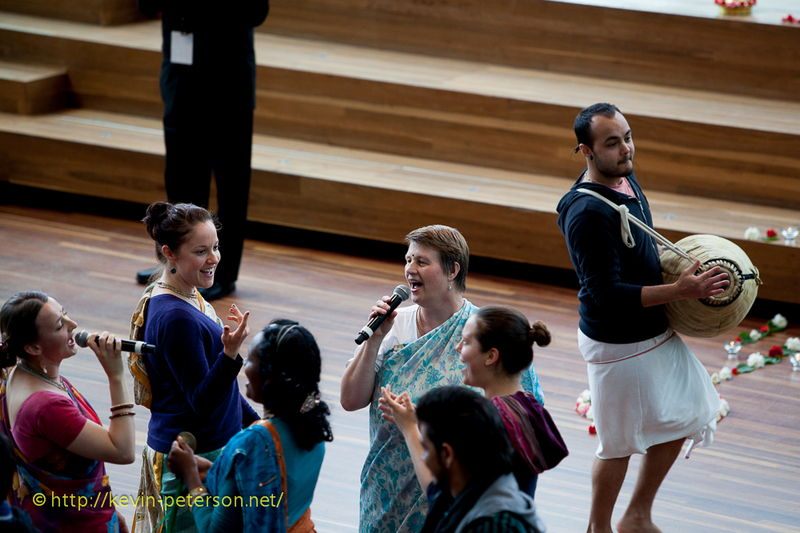 The celebrations started off at the Deakin Edge Theatre with a display of Classical Odissi Dance, followed by a presentation on a study of the earliest Indian settlers in Australia.The Hare Krishna group spoke on Meditation, followed by Chanting. 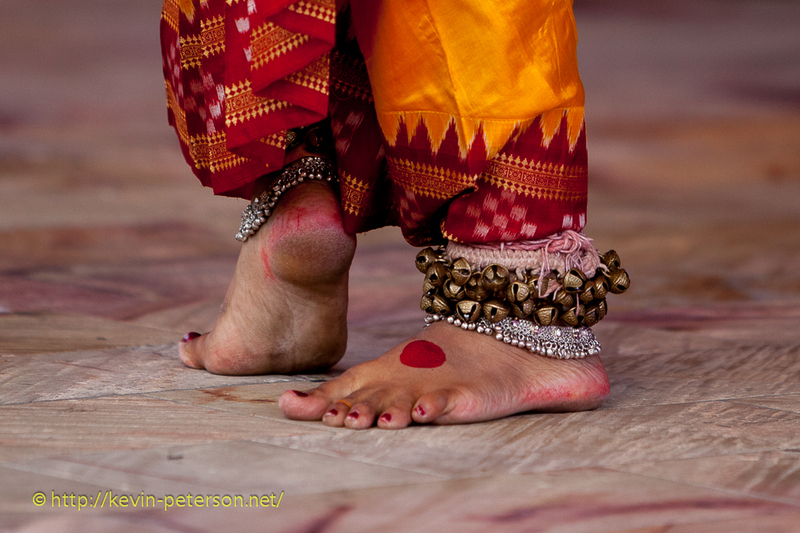 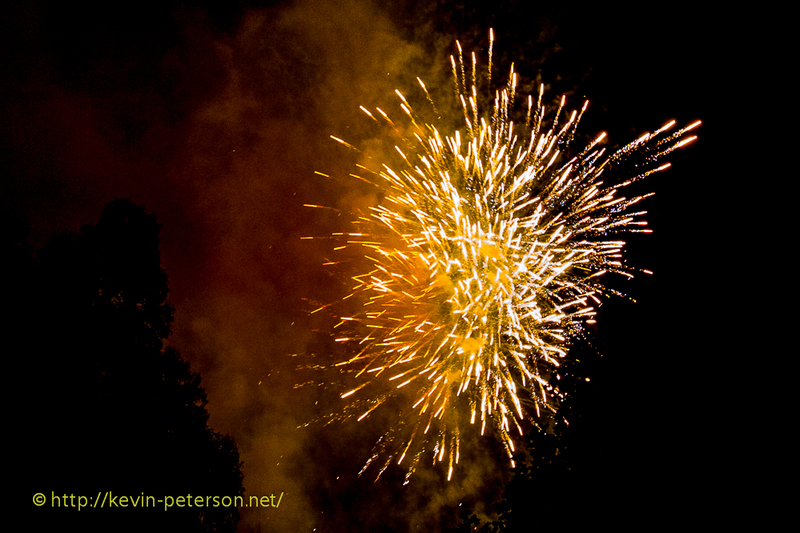 and a dance. 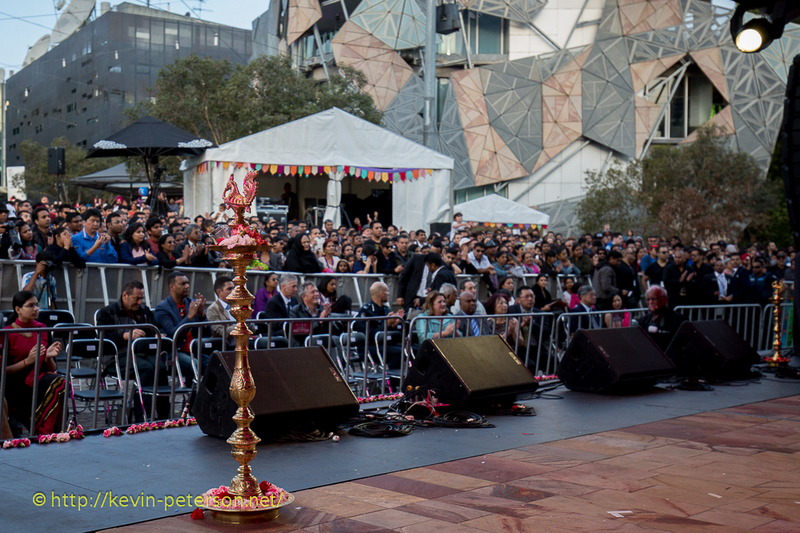 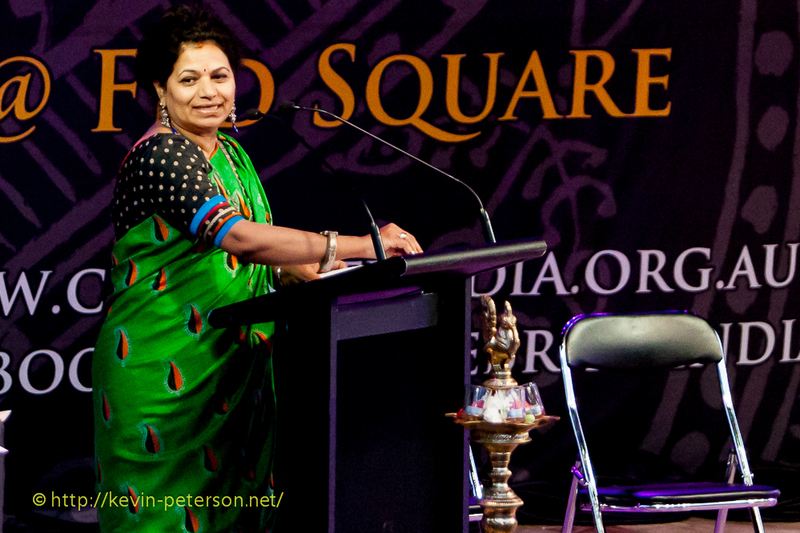 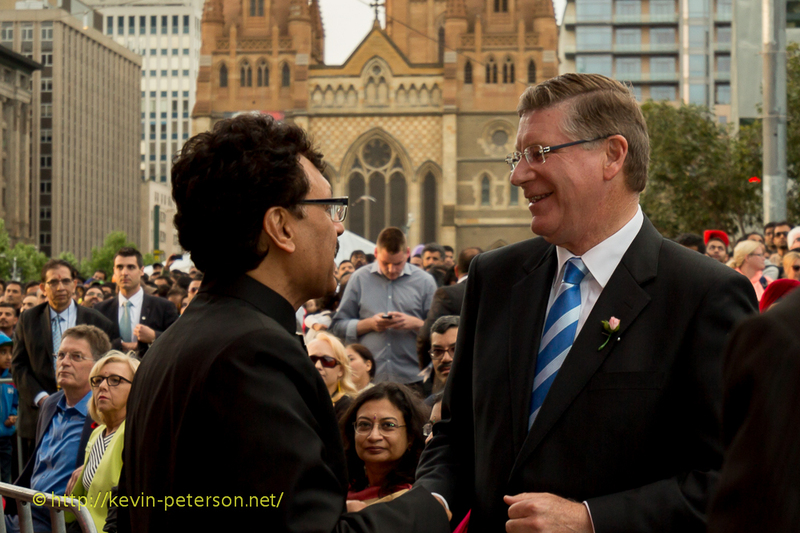 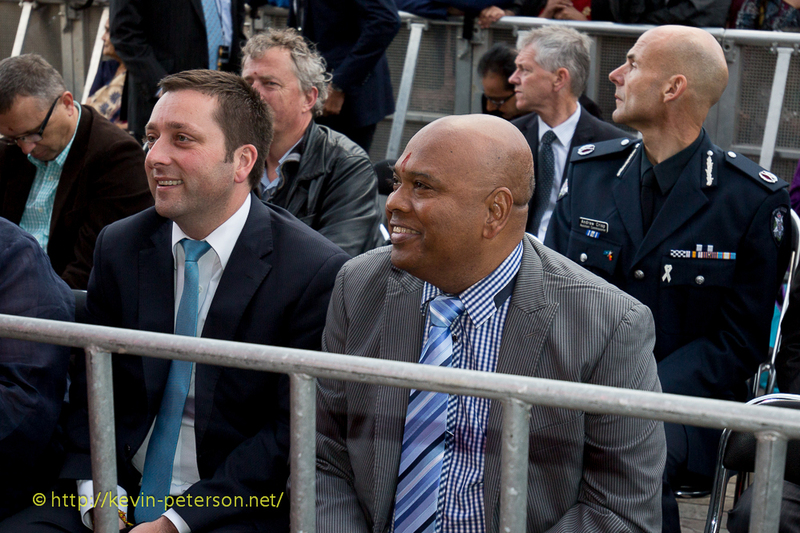 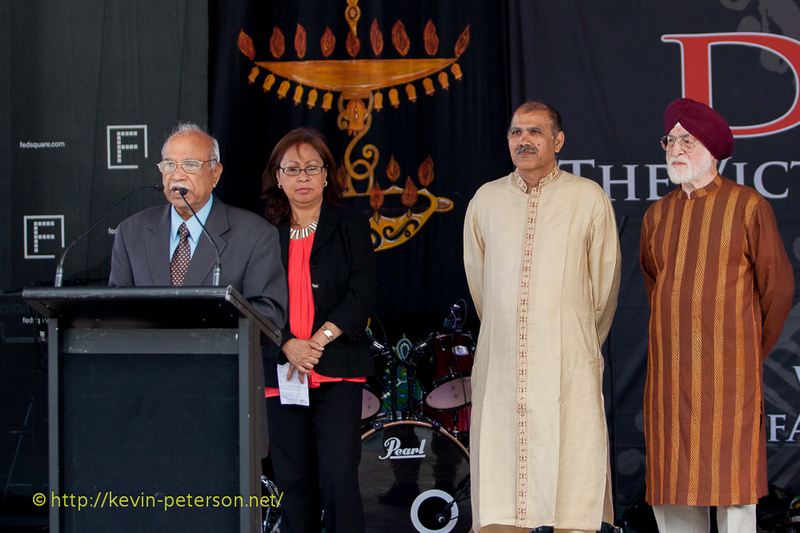 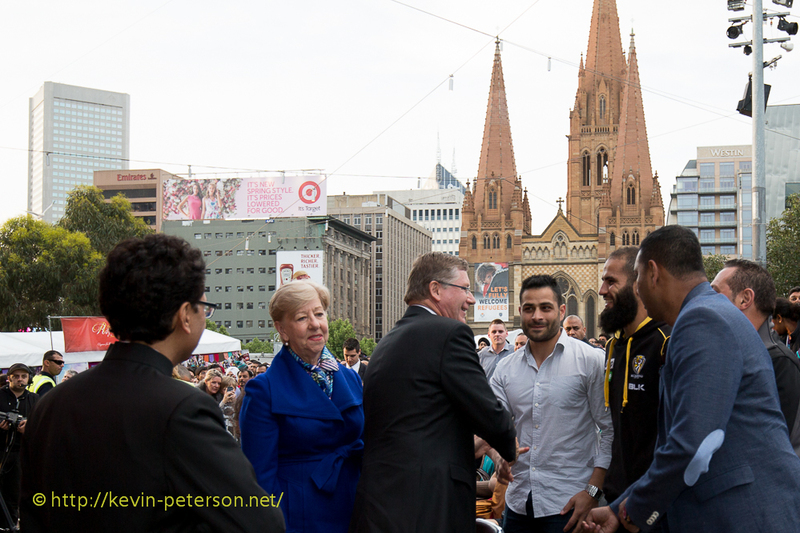 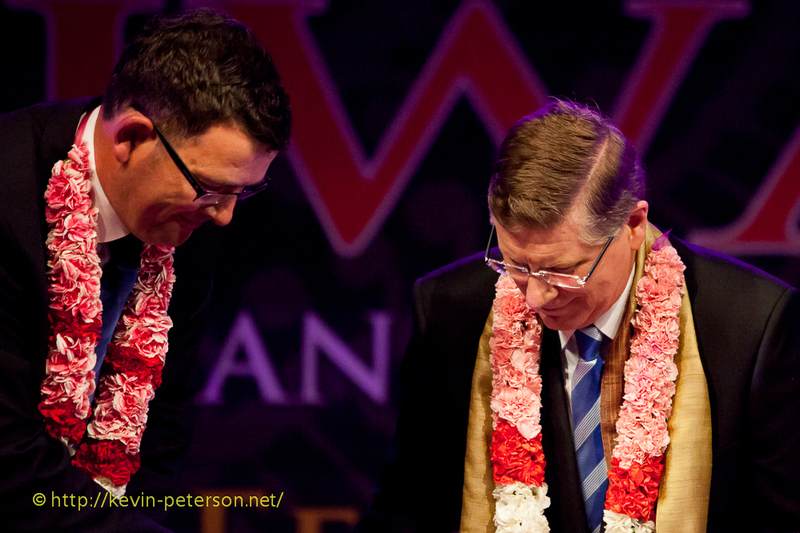 Thereafter the scene moved to the Main Stage at the Federation Square where many cultural events were scheduled leading to the Official Diwali ceremony of Lighting the Lamps (Diya) by the State’s dignitaries, Premier Denis Napthine, Opposition Leader Daniel Andrews, Consul General of India Ms Manika Jain, Deputy Lord Mayor of Melbourne Susan Riley and the event Organiser Arun Sharma, followed by speeches and fireworks at the end of the day. 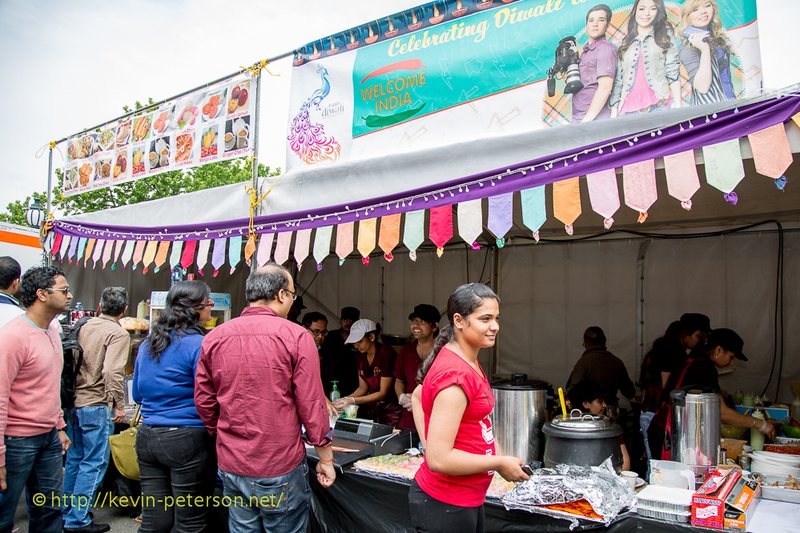 By the Riverside there were food stalls catering to the various and distinct tastes of food from most Indian States, North, South, East and West of India. 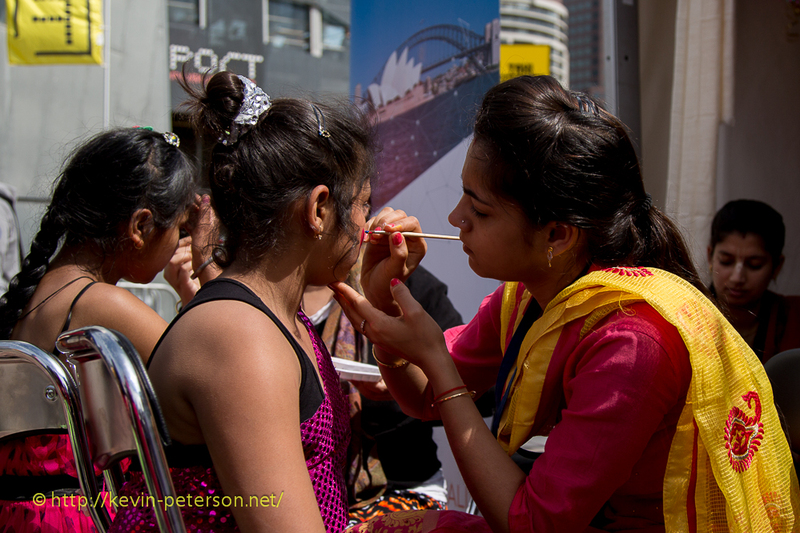 In the square itself, there were stalls , marketing Indian made handicrafts, face painting, Henna or hand painting. 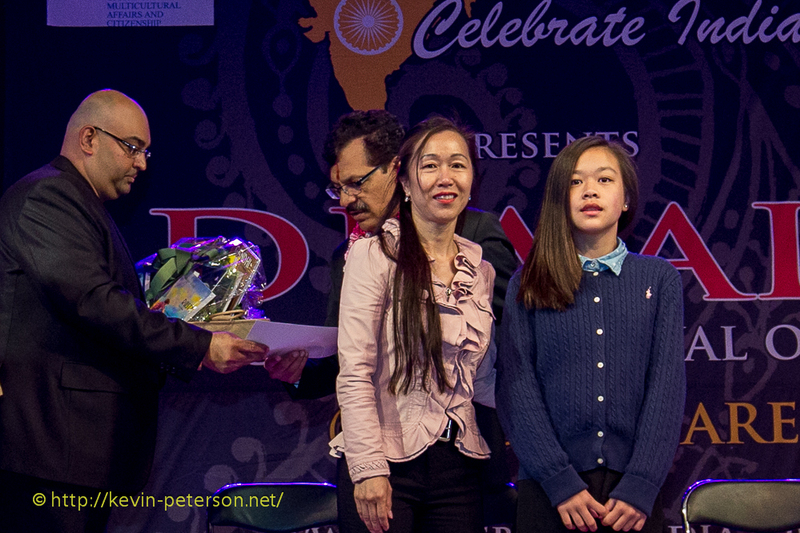 Prizes were distributed for school children for the best Indian Essay competition. 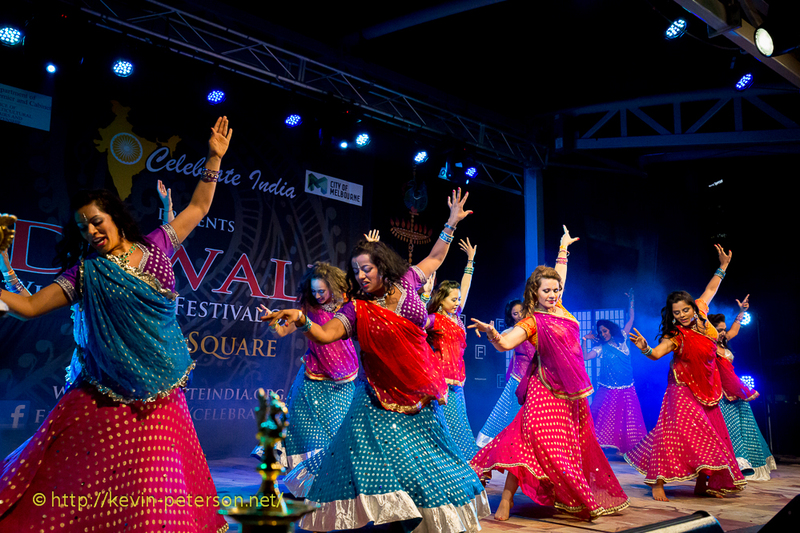 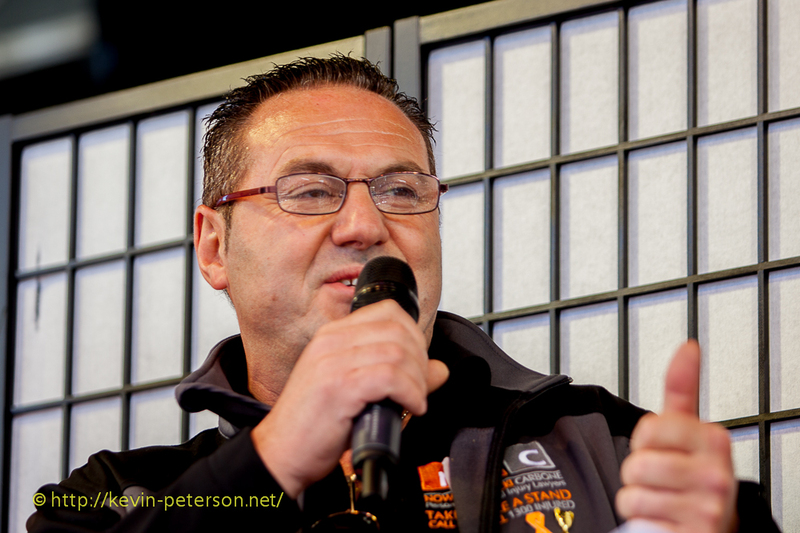 The event is growing in popularity each year judging from the overcrowded Square.